"Awaken The Dead" DVD-Release Party Invitation! Books that We Like ! 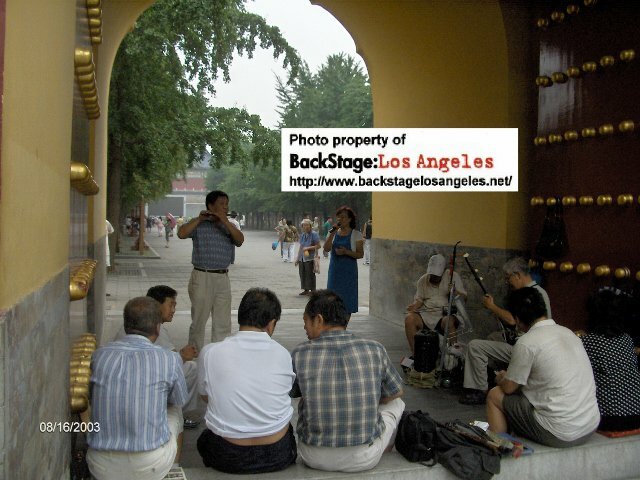 THE OFFICIAL THEME SONG FOR BACKSTAGE:LOS ANGELES! 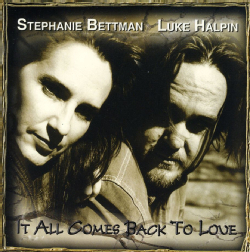 from the "Home Again" CD. "L.A.'s REAL Music-Interview T.V. Show!" for exclusive behind-the-scenes news, photos, info on private events, CD-Release Parties, Recording Tips, and exclusive offers & discounts. Your personal information will not be shared or sold. 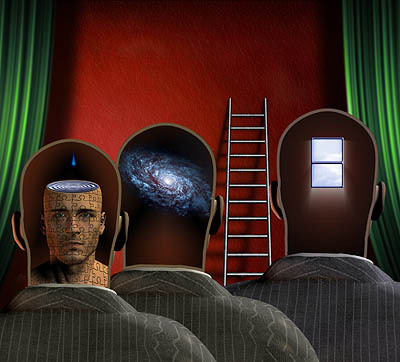 to get to know the artist on a deeper level. 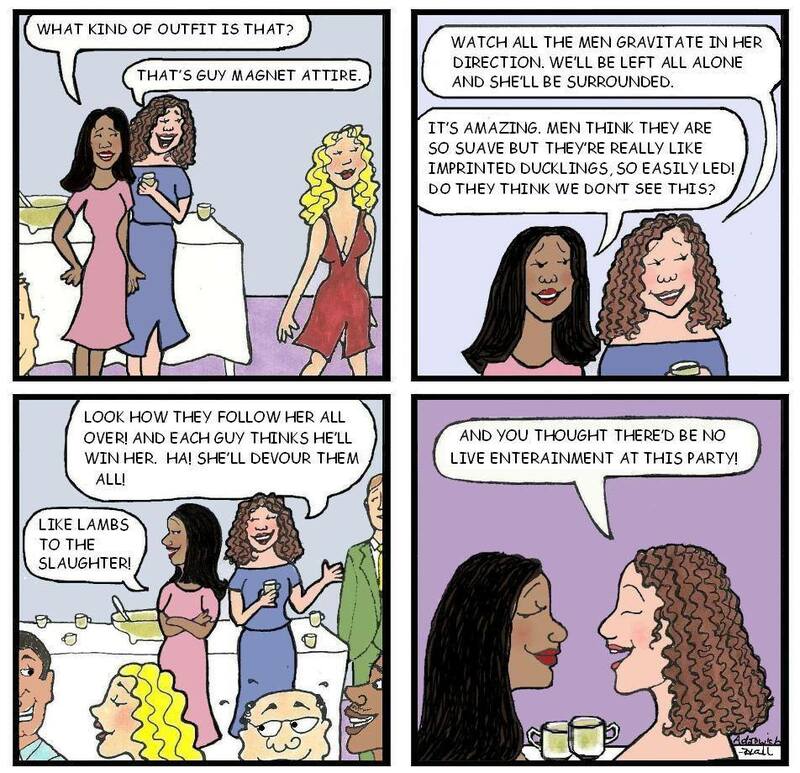 "Talented" is the key word to describe her guests...whether they are famous or "almost" famous. Her work on the show has earned her membership to the Grammy Association. She is also a member of Folk Alliance International. Chip Douglas, Matt Cartsonis, Ellis Paul, Bob Cheevers, Denny Tedesco (son of Tommy Tedesco) + more, and has helped introduce young up and coming artists such as Chelsea Williams, Scott Gates, Ted & Pablo, Ainjel Emme, Fertitta & McClintock, and others. We have also supported and promoted fundraising concerts for The Teen Project, The Cindy Roesgen Benefit, and one of the many concerts for Haiti. This website covers the T.V. 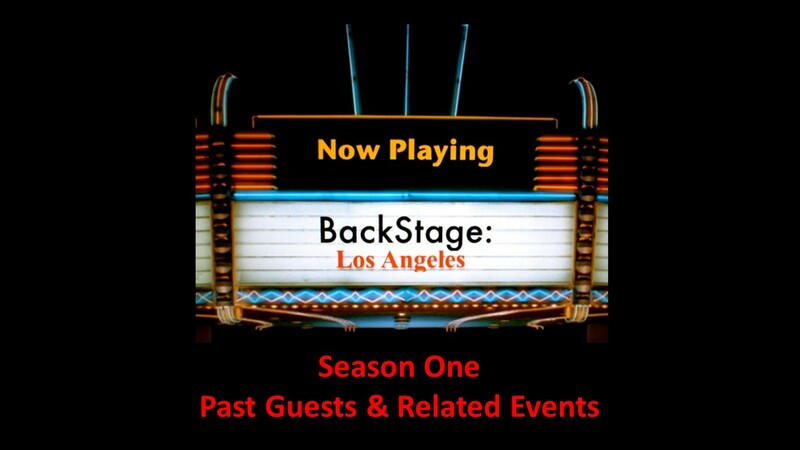 show, "BackStage: Los Angeles,"
of Artists (in front of and behind the cameras), whose combined contributions make this multi-media project possible! Television Show, News Articles, and Concert Calendars. PRIOR TO PUBLICATION ON THIS SITE. Stevie Wonder, and Timothy B. Schmit. This show is produced with the support of the most wonderful production team ever assembled! (and NOT limited to those listed below). Season One - Past Guests Video - Click image to view. Season Two - Past Guests Video -Jan Thru June - Click image to view. 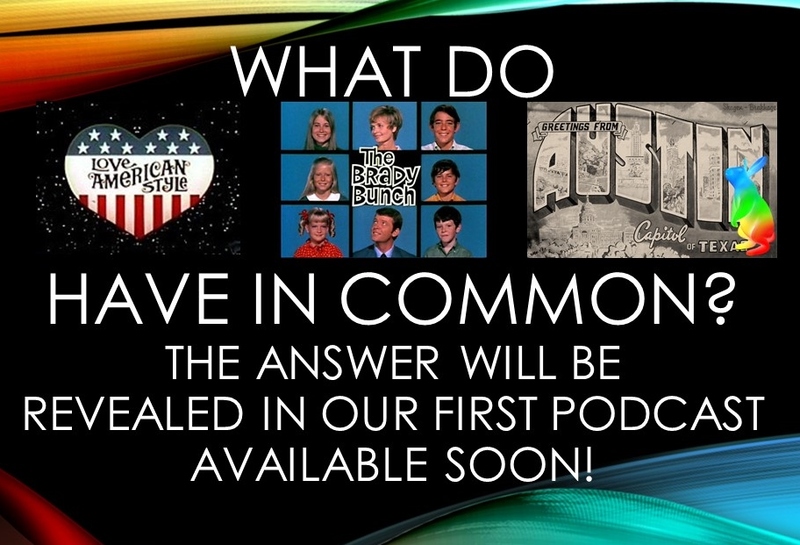 Season Two - Past Guests - July Thru Dec. Video - Click image to view. 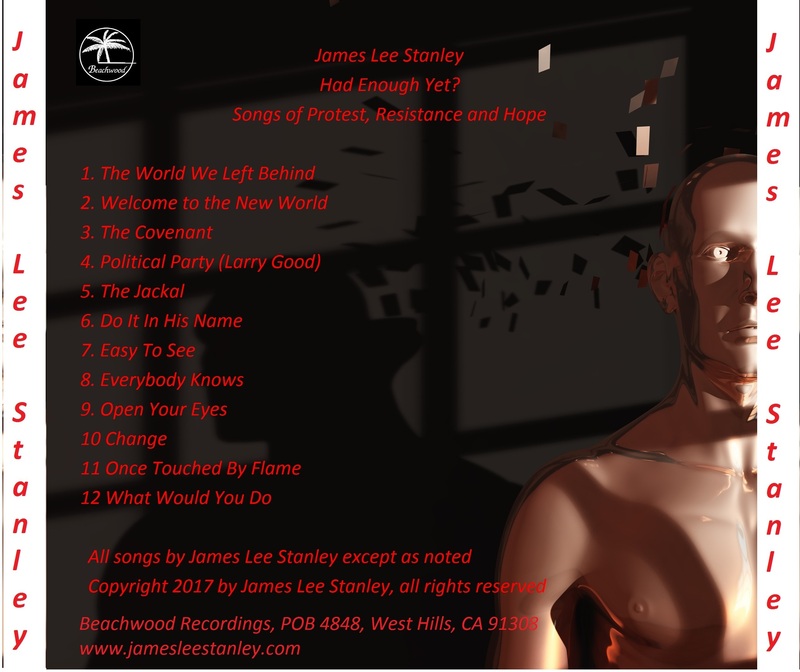 James Lee Stanley's Newest CD Release - "Had Enough Yet"
James Lee Stanley, the true renaissance man, will be showcasing work from his most recent release Alive at Last which he debuted to a standing-room-only crowd at The Grammy Museum, as well as some fan favorites. 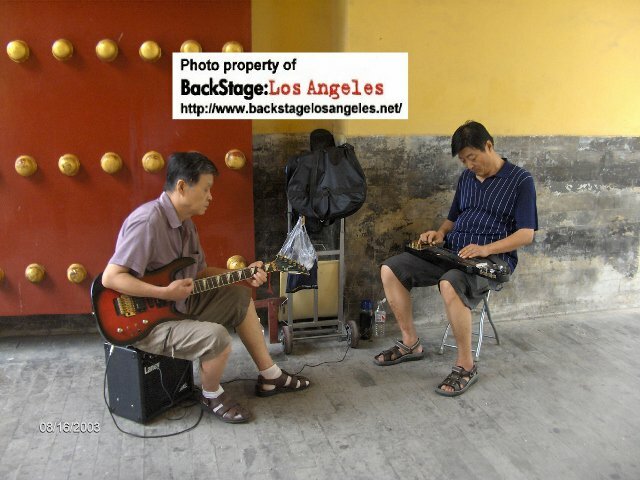 James is a veteran performer, singer-songwriter, and all around great guitarist. A fun evening of music and stories abounds. Doors will open for this show at 7:30 PM and the show will start promptly at 8 PM. Tickets can be purchased in person at the store or over the phone during store hours by calling Boulevard Music at (310) 398-2583. It is going to be a fun night! Hope to see you all there. James Lee Stanley's CD "Alive At Last"
MOST OF THE PHOTOS ON THIS SITE, WILL CLICK-THROUGH TO A LINK TO PURCHASE A CD AND/OR THE ARTIST'S WEBSITE. Sandy Jacobson (Producer) with Peter Tork at the 2010 NAMM Festival. Our Second Guest was James Lee Stanley ! Pictured left to right, John Batdorf, Sandy Jacobson (Producer), James Lee Stanley (Guest Host). Our Third Guest was John Batdorf ! Pictured left to right are: Michael Sunday (Host), Sandy Jacobson , Michael McLean, & John Batdorf. Our Fourth Guest was John McEuen. Members of WE FIVE in our studio. 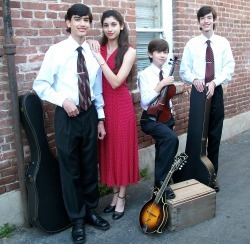 Then, 14-Year-Old Scott Gates, mandolinist. Michael Sunday (Host), Scott Gates, and Mike Nadolson (Guests). 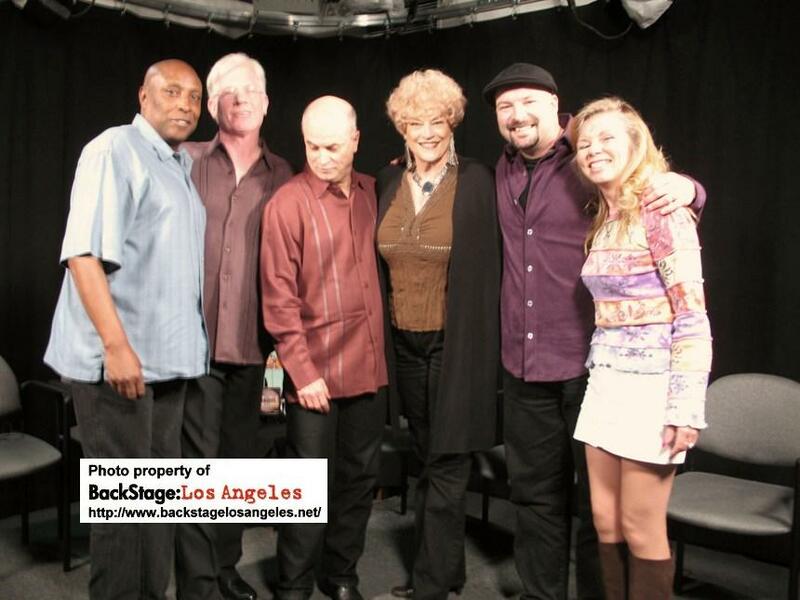 Michael Sunday (Host), Sandy Jacobson (Producer), Laurence Juber (Guest), & Javier Otero (audience). 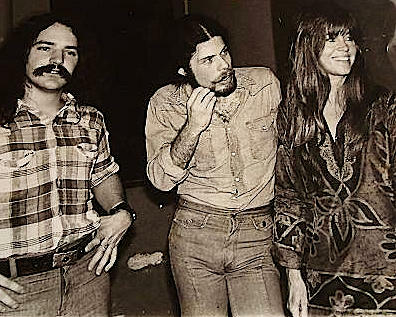 Nathan McEuen, Sandy Jacobson (Producer), Elain Gregston, & Chuck Hailes. Our Guest Ngahihi Bidois, from New Zealand ! Ngahihi Bidois (one of the stars of DREAMCATCHERS) with Michael Sunday (Host). 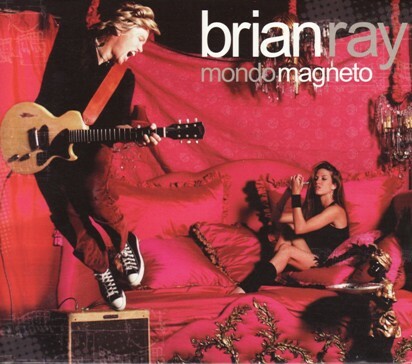 Brian Ray in addition to releasing solo CD's, is guitarist with Paul McCartney's band. Julie Paris, Russ Paris (Guests) with Sandy Jacobson (Producer). Colin Hanton, Sandy Jacobson (Producer), Rod Davis, and Len Garry. Ted & Pablo performing at The Skirball Center on their second U.S. Tour. Michael Sunday (Host), Sandy Jacobson (Producer) & Matt Cartsonis (Guest) outside the studio. Matt and Zac Pless from Washington, D.C.
Sandy Jacobson (Producer) with Ellis Paul (Guest) on location at McCabe's. Our Guest - Ainjel Emme ! Ainjel Emme (Guest), Sandy Jacobson (Producer) & Michael Sunday (Host) in our studio. Florence is from New Zealand, and frequently plays in Los Angeles. On the set of BackStage:Los Angeles. The Quarrymen during their first U.S. Tour !!! Colin Hanton, Sandy Jacobson, Rod Davis, & Len Garry. Bob Stane ran The Ice House "back in the day." Guest: Peter Tork, on his second visit with us. 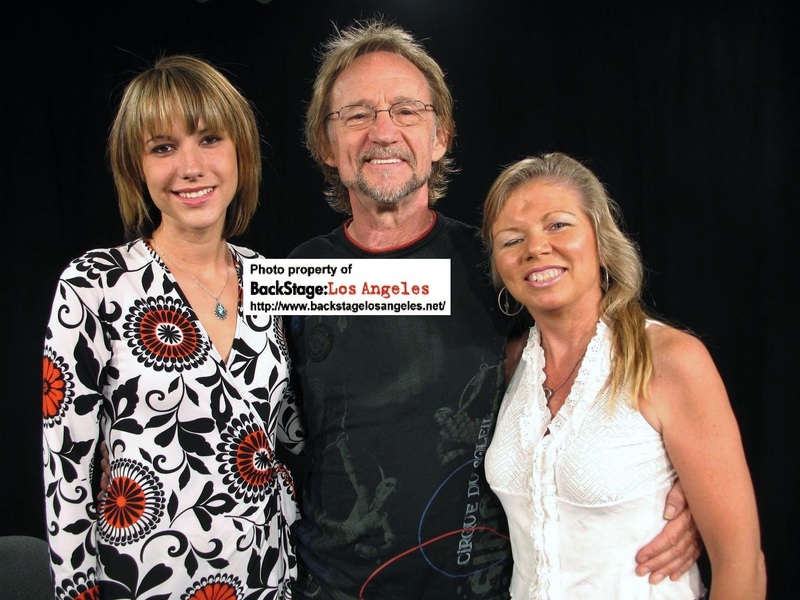 Guest-Host - Chelsea Williams, with Peter Tork, Sandy Jacobson (Producer). Our Guest: Lauri Burns, and her sister Allison. To promote The Teen Project Benefit Concert "Gimme Shelter"
Author of "Steve Goodman-Facing The Music." Steve is best-known for his song "City of New Orleans." Michael Sunday (Host) interviewing Keith England on our set. Keith toured with the Allman Brothers. and he has performed at The Woody Guthrie Festival in Oklahoma. TOTAL SIGNATURES HITS 34,207 ! 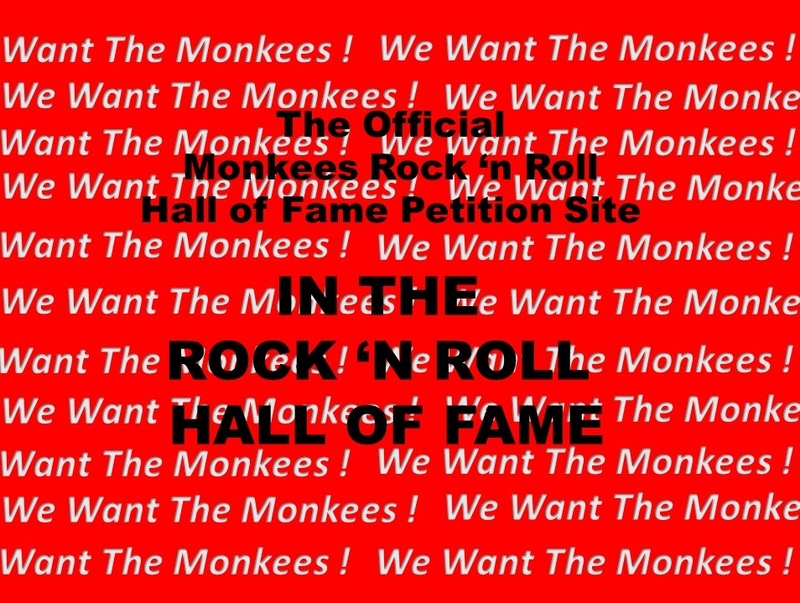 May 4th marked the anniversary of the printing of The Los Angeles Times article "Rock Hall Snub Irks Ex-Monkee" by Joseph Dionisio which prompted the writing of this petition. We, the fans, leading the campaign by 15,129 Signatures!!! WHILE WE CONTINUE TO GATHER SIGNATURES ON THEIR BEHALF. with a combined total of 34,207 Signatures ! Special Thanks to Mark Smigel, Signature #24,000 ! (the man who was the attorney for Howard Hughes AND Conrad Hilton). 40th Anniversary Screening of The Monkees film "Head" along with photos taken that evening! Promo for The 40th Anniversary Screening of "Head"
Click here to order merchandise to promote the petition! All proceeds from merchandise sales will go toward covering costs of us expanding our efforts. AMOEBA LISTENING PARTY for The Monkees NEW RELEASE "Good Times." 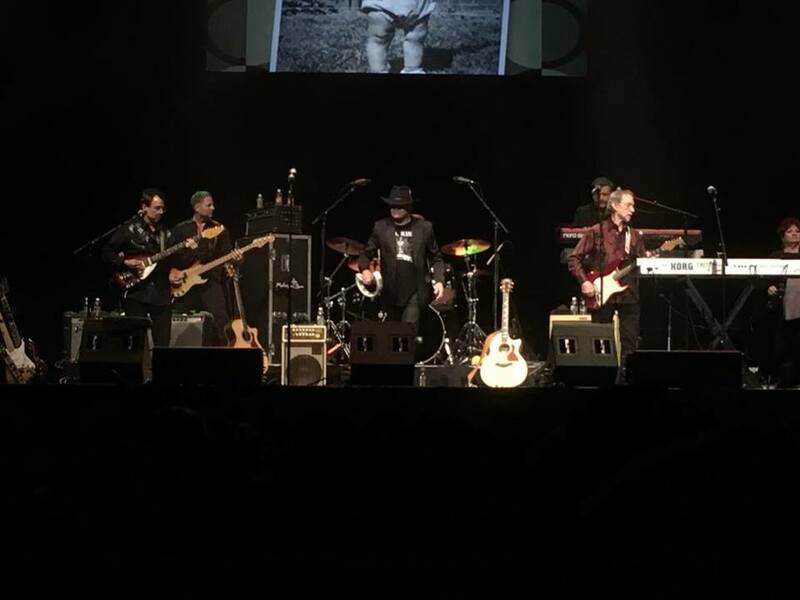 THE MONKEES 50th ANNIVERSARY TOUR! 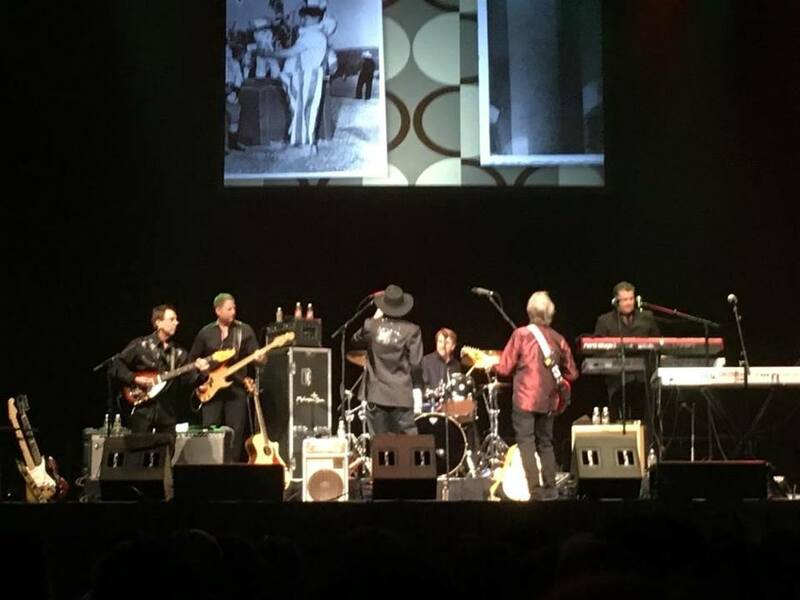 Micky Dolenz & Peter Tork onstage during The Monkees 50th Anniversary Tour. 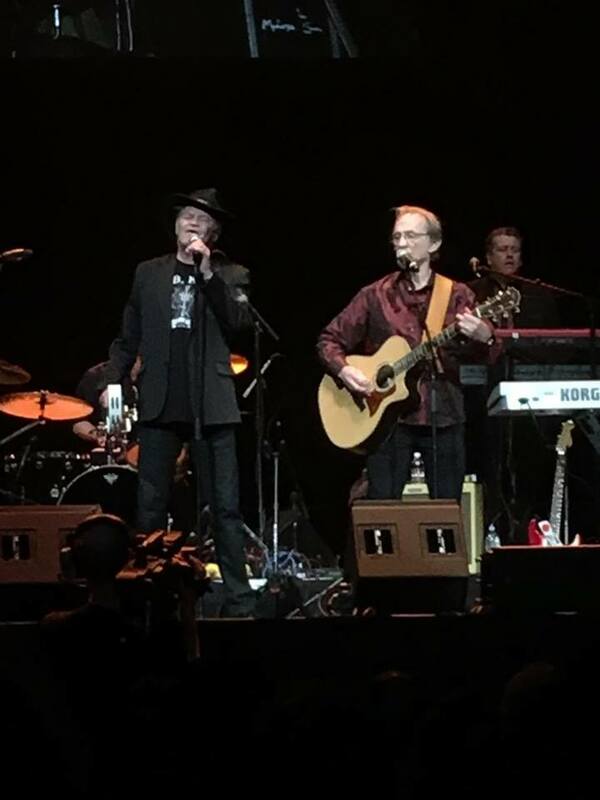 Micky Dolenz & Peter Tork performing at The Monkees 50th Anniversary Tour. 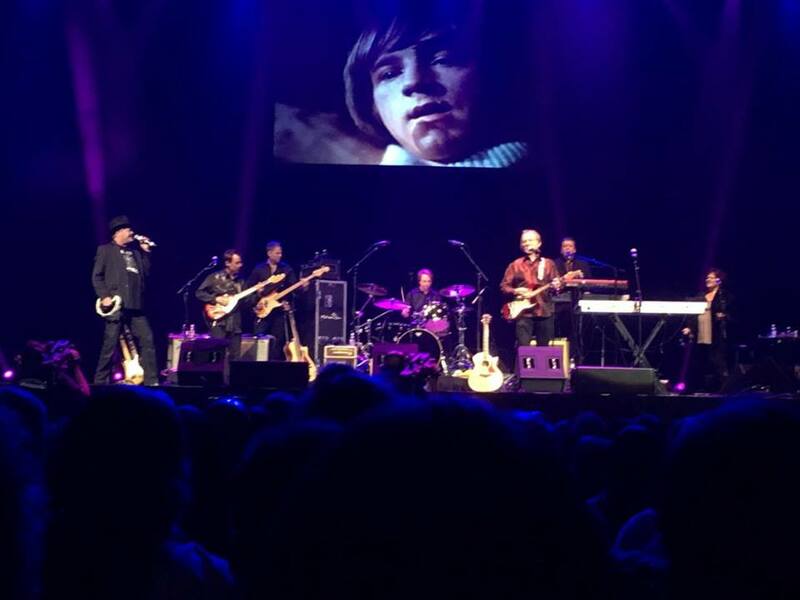 Micky Dolenz & Peter Tork onstage for The Monkees 50th Anniversary Tour. Micky Dolenz & Peter Tork performing during The Monkees 50th Anniversary Tour. 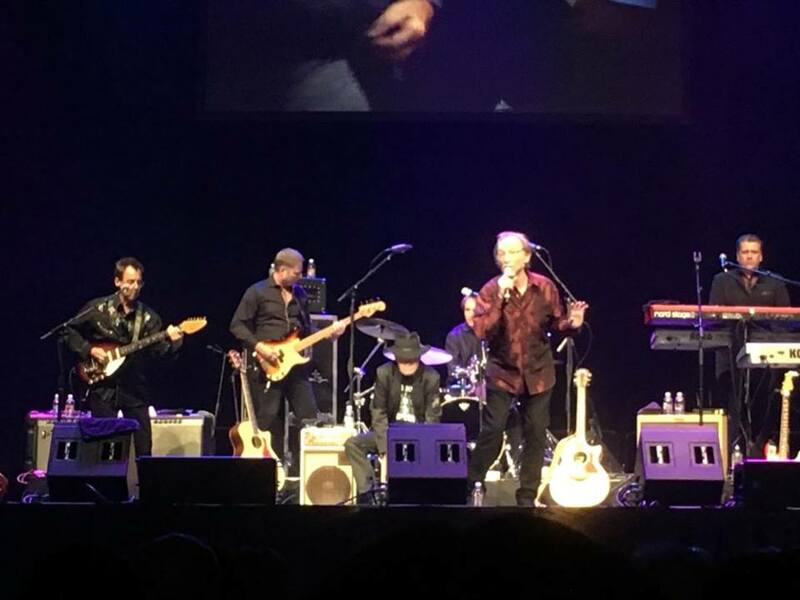 Peter Tork performing at The Monkees 50th Anniversary Tour. 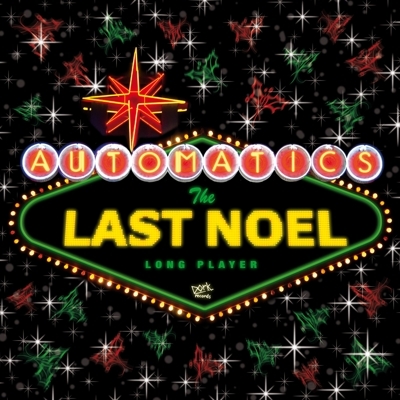 CD format, as well as vinyl! 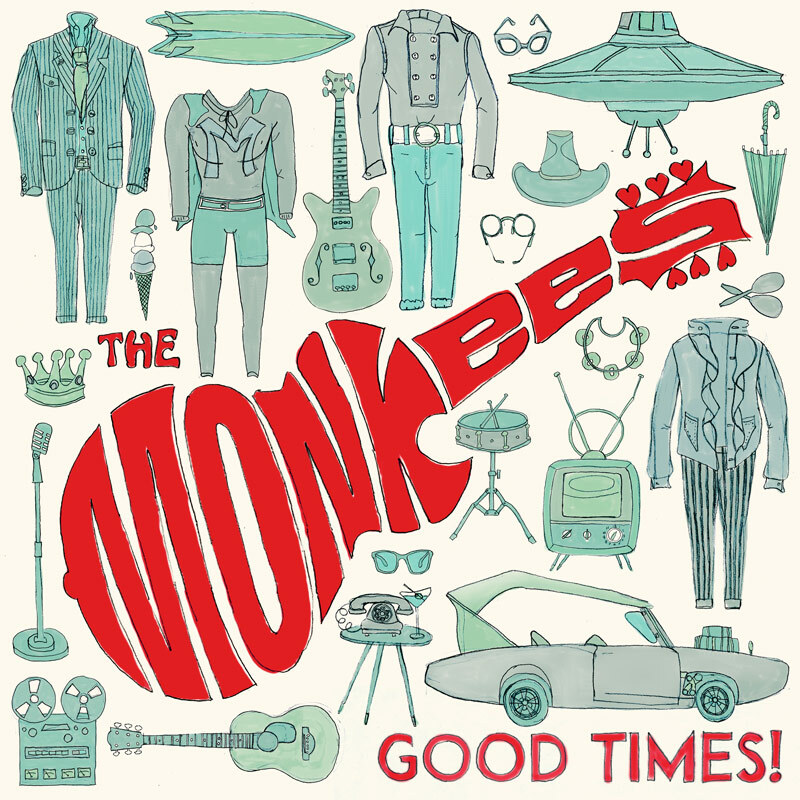 The Monkees FIRST CD / LP in 20 Years! 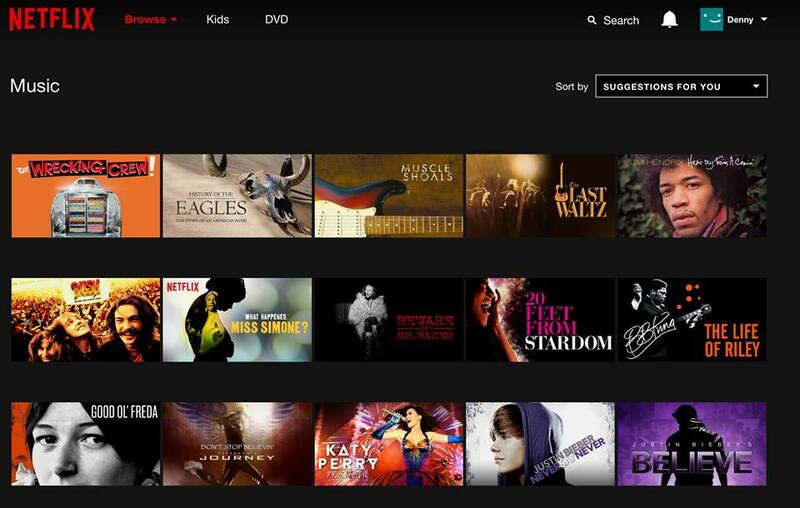 The music documentary The Wrecking Crew has made it to NETFLIX! Please tell your friends that still want to see it or haven't seen the latest version. If you're cleaning the house, maybe just pop that channel on while you clean house. They don't get paid for plays but it will determine how close it stays to the top of things to watch! Its bragging rights! Netflix does not give you the 6 hours of out takes. So don't fret if you ordered the DVD. On Tuesday, July 7, 2015, as John Batdorf finished Mastering his CD at Capitol Records, Ringo Starr was there to celebrate his birthday! This is VERY appropriate, because when Ahmet Ertegun signed Batdorf & Rodney, it was the same day that he signed The Stones, who were in the next room! The new CD will be available to pre-buy in a few days. The actual CD should be shipped by mid to late August. without listening to it first! 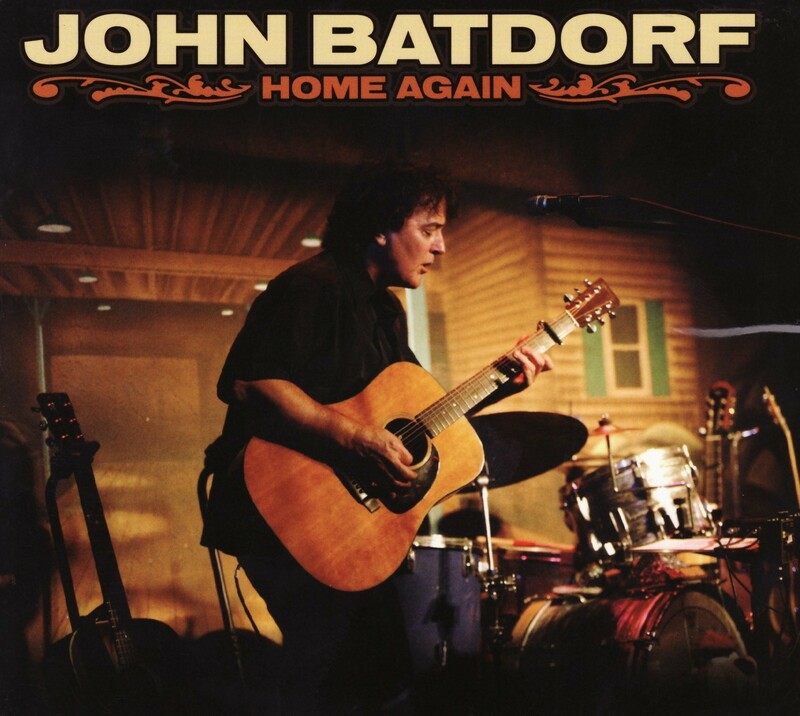 Who IS John Batdorf? Click Here to learn more! 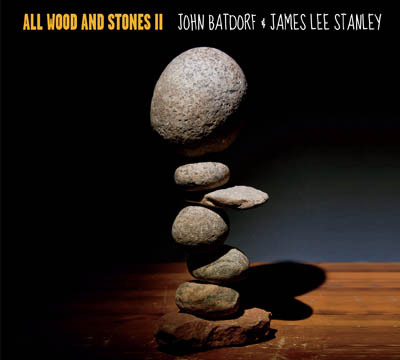 John Batdorf, with James Lee Stanley and Bill Batstone performing "Mother's Little Helper" from their "All Wood & Stones" CD. 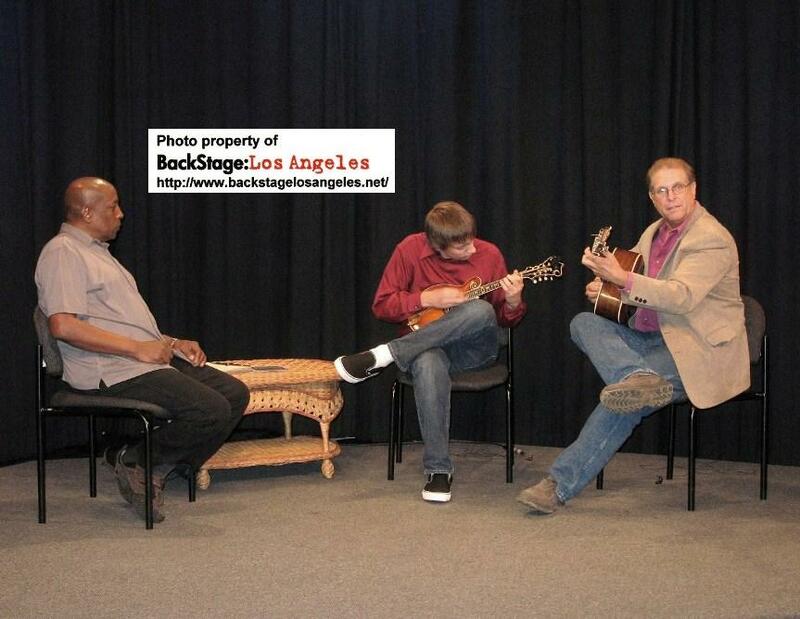 John Batdorf in our studio with Sandy Jacobson (Producer) and James Lee Stanley (Guest Host). 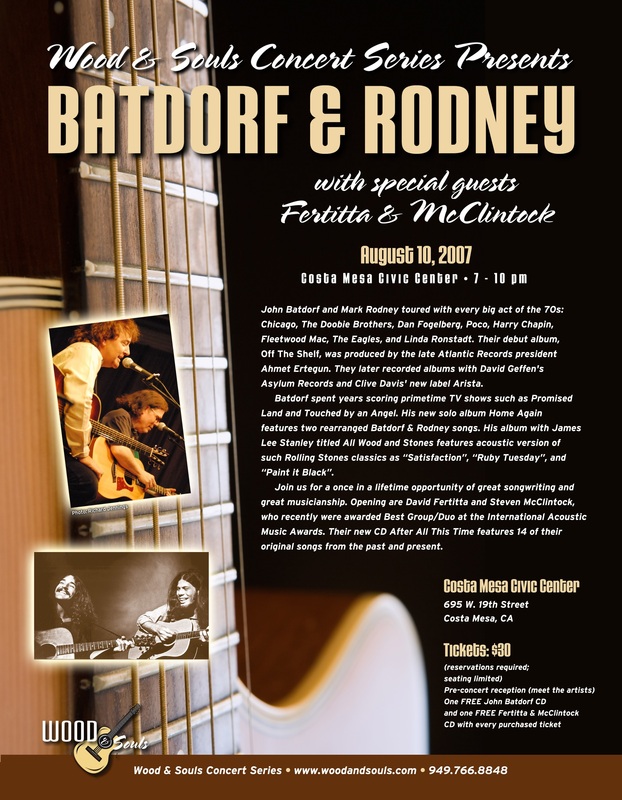 John Batdorf with Sandy Jacobson, and Mark Rodney during the 2007 Batdorf & Rodney Reunion Tour. 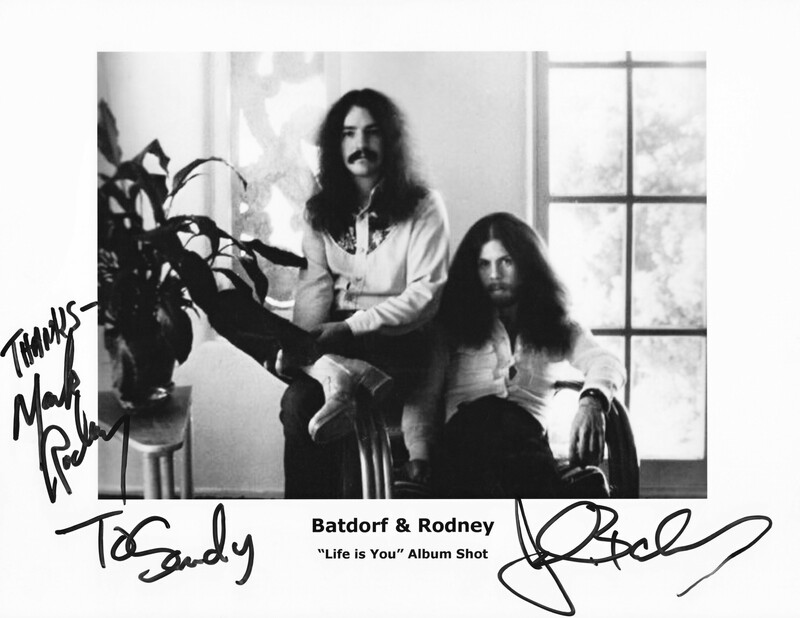 John Batdorf, with Sandy Jacobson, and Mark Rodney during the 2007 Batdorf & Rodney Reunion Tour. 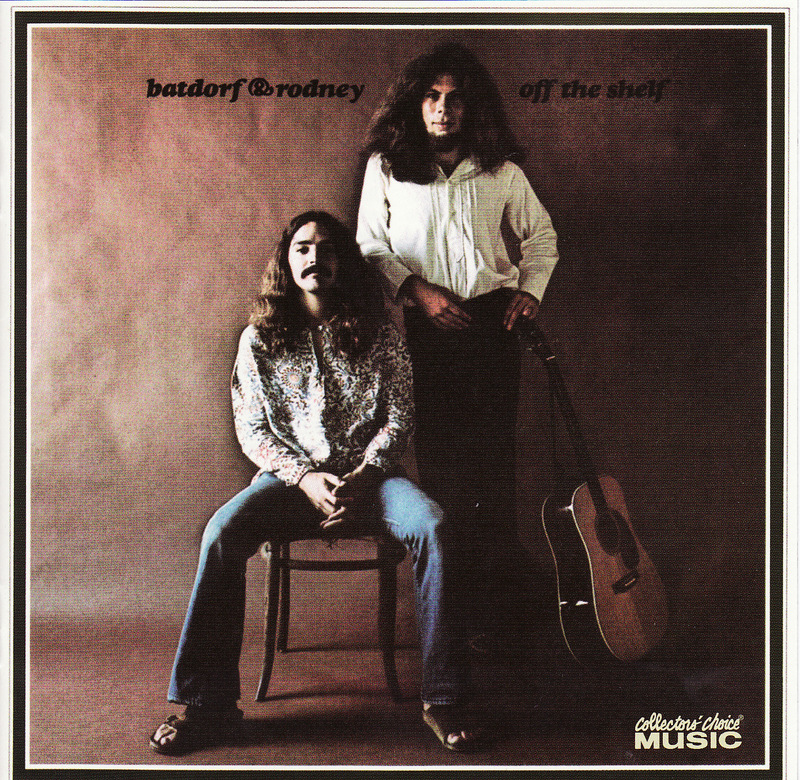 Batdorf & Rodney at The Troubadour, Los Angeles. Coming Soon! "Straight From The Heart" - The Musical ! James, and Louden G. Lizzard. 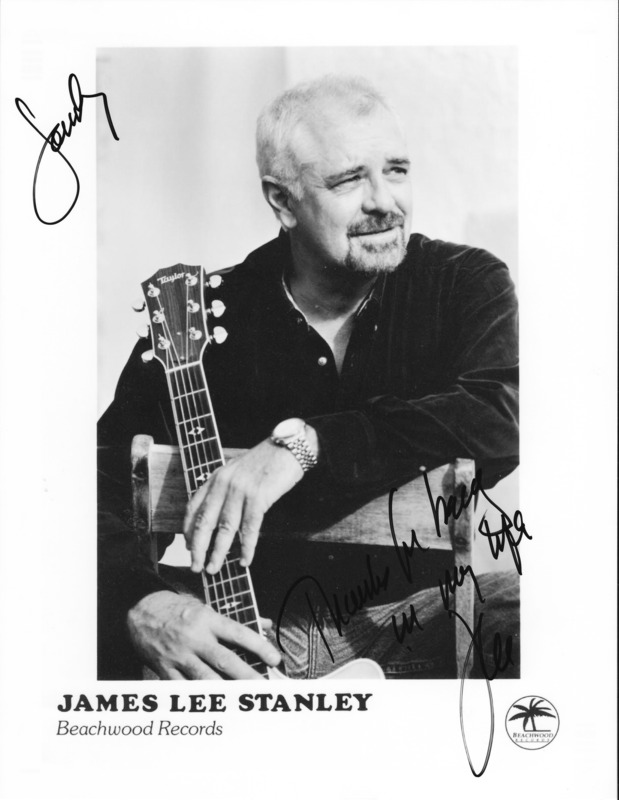 Order James Lee Stanley's CDs! James Lee Stanley playing James and Louden G. Lizzard. 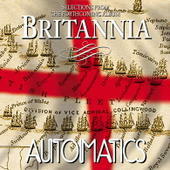 Click on the Event Poster above, to link to videos of The Automatics. 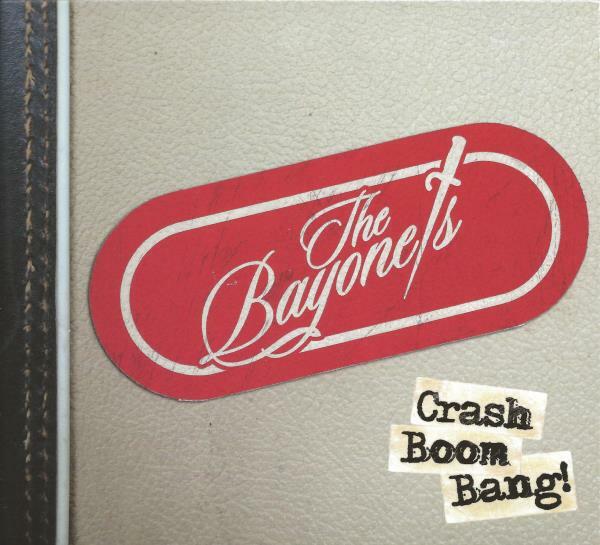 This JUST in - Brian Ray & The Bayonets' new CD "Crash, Boom, Bang!" will be available tomorrow for Paul McCartney's last show, of this leg in Stockholm. Go to the main merchandise stand inside, on the concert floor. Random CDs have been signed by Brian! THIS IS ON-SITE AT THE CONCERT ONLY. If you are not fortunate enough to be in Stockholm, you may order a copy of Brian's new CD, by clicking on the link below. Order the "Crash, Boom, Bang!" CD and Other Merchandise! I forgot my camera the day that Brian was in-studio with us, but he graciously signed this photo. At the CD-Release Party for "This Way Up!" Sandy Jacobson at the CD-Release Party for "This Way Up"
At the CD-Release for "This Way UP"
Sandy Jacobson, with another Past-Guest of our show, David Philp of The Automatics. NEW ! FOLLOW US ON TWITTER ! 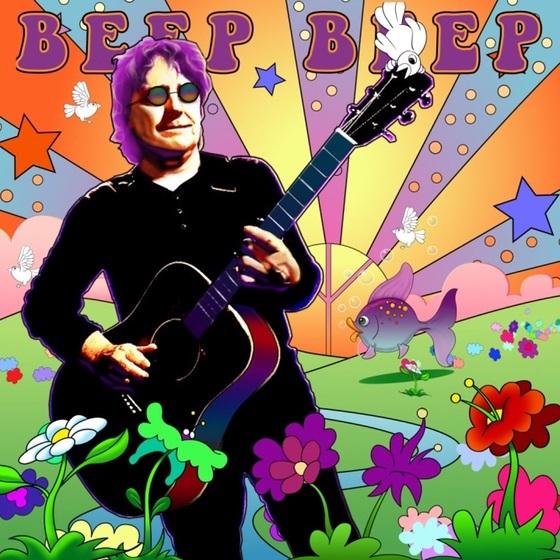 Trailer-Screening/Wrap Party/CD-Release of David Philp & The Automatics NEW CD/Book Promotion of Brooke Halpin's "Do You Really Know the Beatles: A Quiz Book?" AVAILABLE SOON! (If not already Pre-Ordered). All-Acoustic arrangments of songs by The Doors. 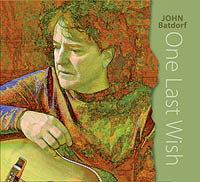 John Batdorf - Revolution from his new CD "One Last Wish"
A song about coming home to a jobless economy after serving their country and how the banks, who care for nothing but profits, treat our returning heroes by foreclosing. Dedicated to the homeless veterans from all wars and to the patriots of the Occupy Movement for bringing the war for veterans, home. John Densmore from The Doors, sitting in! James Lee Stanley at The West Valley Music Center. Cliff Eberhardt at The West Valley Music Center. John Densmore and Brooke Halpin (one of the cast of our film) at West Valley Music Center. Sandy Jacobson and John Densmore at The West Valley Music Center. Thank You to West Valley Music Center for hosting a great concert ! John McEuen, Past-Guest, with Sandy Jacobson at The Coffee Gallery Backstage. Matt performed with John McEuen that night. Past-Guest, Matt Cartsonis with Sandy Jacobson at The Coffee Gallery Backstage. David is currently working on HIS next release ! Sandy Jacobson ran into another past-guest, David Philps at Brian Ray's CD-Release / Concert Party. 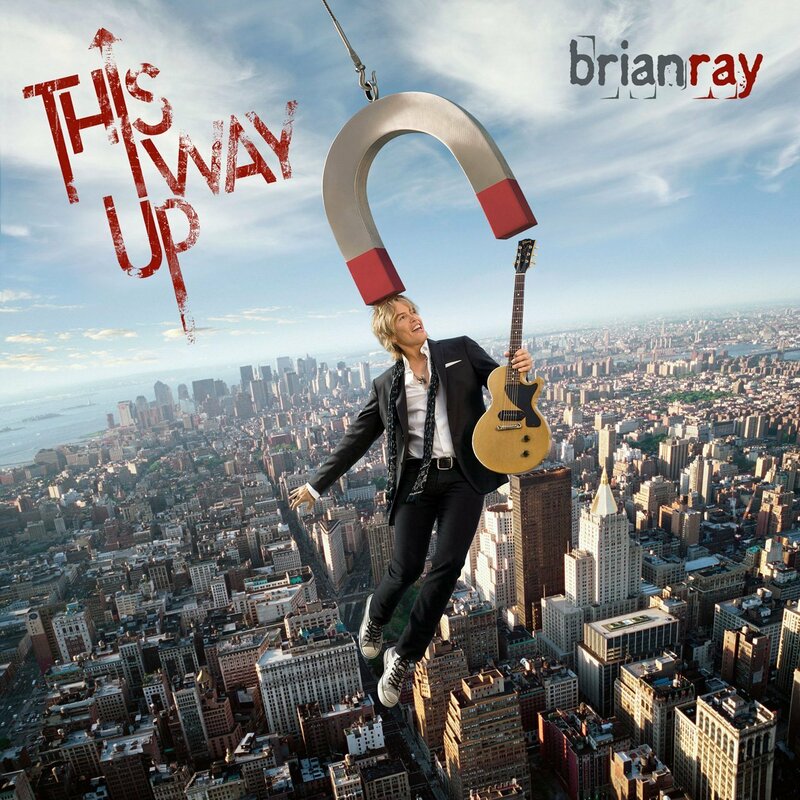 Brian Ray performing tracks from his latest CD "This Way Up!" at his CD-Release Concert/Party. Sandy Jacobson, on The Great Wall of China. 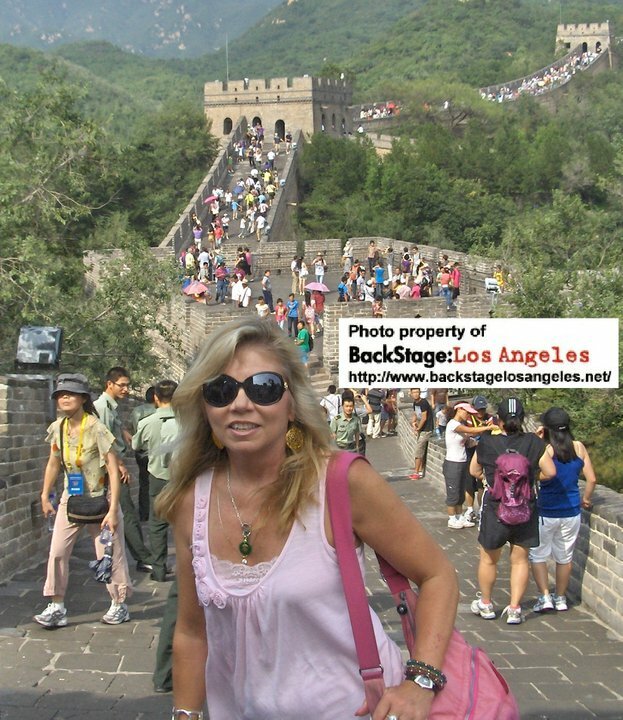 Sandy Jacobson on The Great Wall of China. "The Dreamcatchers" Wrap Party / Tour. Sandy Jacobson on the grounds of The Summer Palace in Beijing. Click on the links below, for more information ! Some of our Historic Moments ! NAMM 2011 Photos & Info - click here ! updating and improving this site ! The Quarrynen on their recent visit to L.A. The Quarrymen - Len Garry, Colin Hatton, with Sandy Jacobson (our producer), and Rod Davis. the band where John Lennon, Paul McCartney, and George Harrison met...during their recent "Happy Birthday, John" Tour - their second Southern California visit. We had the privilege of interviewing them, again, on this visit. The complete story is featured in our next newsletter. Review for The Quarrymen in concert, with the screening of "Nowhere Boy" at The Egyptian Theatre in Hollywood on September 30, 2010.
or any actions they may take while under the influence of alcohol. 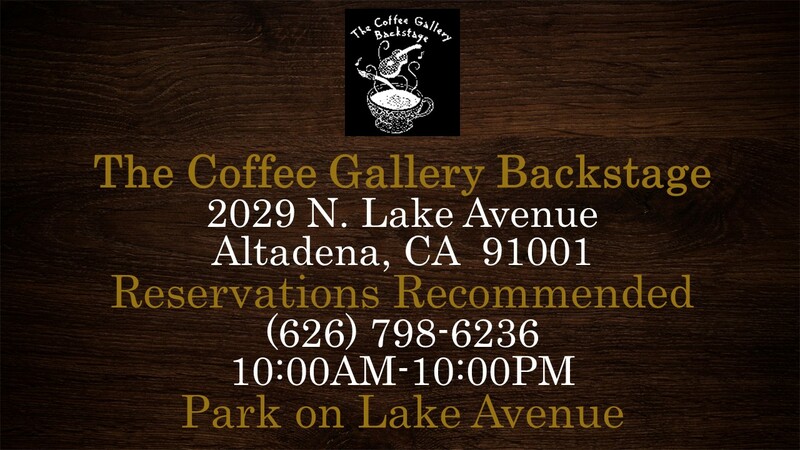 BackStage:Los Angeles visits Bob Stane at The Coffee Gallery in Alta Dena. Guest, Denny Tedesco (son of Tommy Tedesco-The Wrecking Crew) & Host, Sandy Jacobson in the studio. Scott Gates, John McEuen, & Nathan McEuen at The Coffee Gallery Backstage. Nathan McEuen (Guest), Sandy Jacobson (Host), Elaine Gregston & Chuck Hailes (Guests) in the Studio. Florence Hartigan (Guest) with Sandy Jacobson (Host) in the studio. Bob Stane, founder of The Ice House, and owner of The Coffee Gallery Backstage. David Philp, in the studio with Sandy Jacobson (Producer), and Michael Sunday (Host). 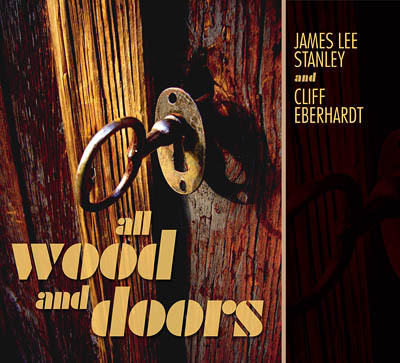 James has been out on the road with Cliff Eberhardt, touring their collaborative CD "All Wood & Doors." 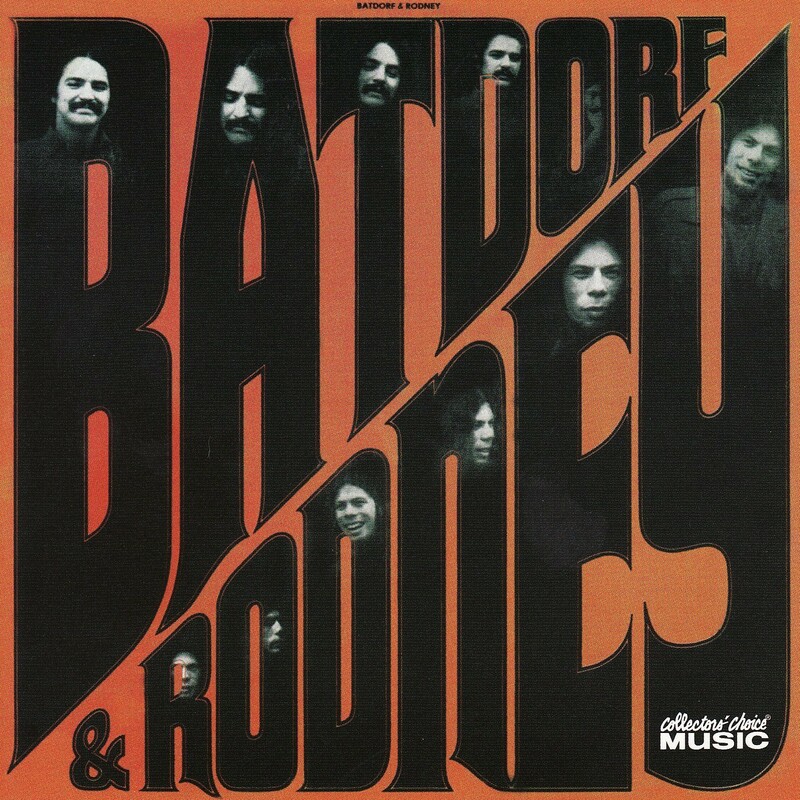 John Densmore, Robby Krieger, Peter Tork, Timothy B. Schmit, John Batdorf, Laurence Juber, Scott Breadman, Paul Barrere, Rick Ruskin, and Chad Watson playing on various tracks. James also has a new solo CD "BackStage at The Resurrection." Tickets: $20 singles couples a better deal, tables a great deal. call. 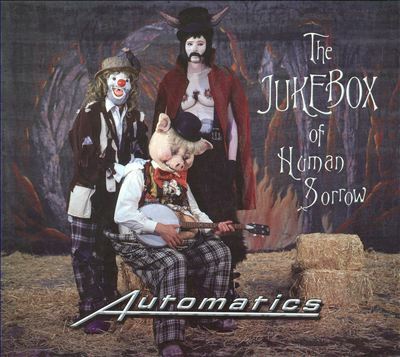 Click on the CD Cover to order ! 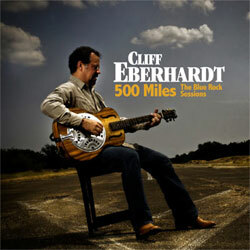 James Lee Stanley's NEW CD "Backstage at The Resurrection"
Cliff Eberhardt's new CD "500 Miles." 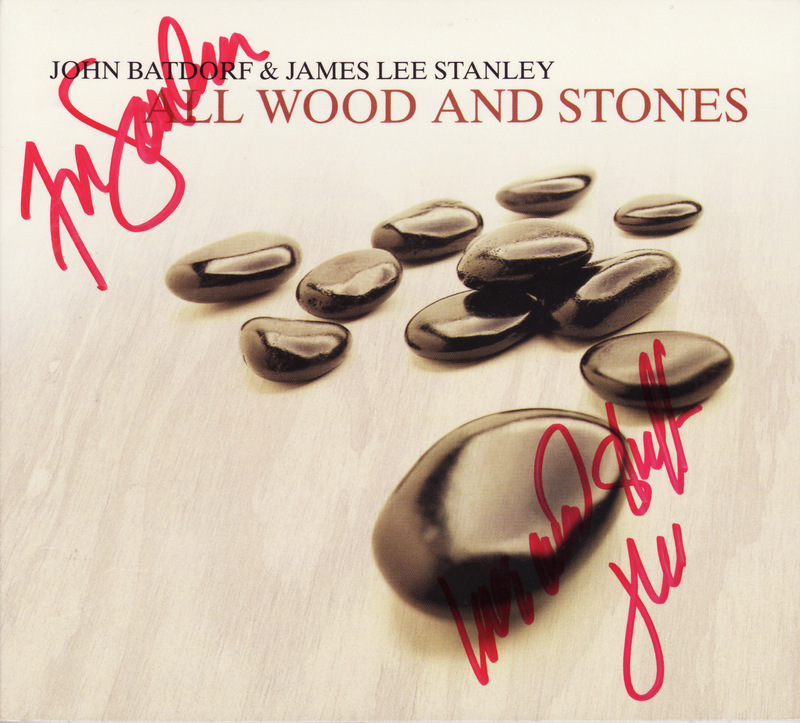 John Batdorf & James Lee Stanley in concert. John Batdorf (Guest), Sandy Jacobson (Producer), James Lee Stanley (Guest Host). James Lee Stanley in concert. To preview tracks, click on the image. 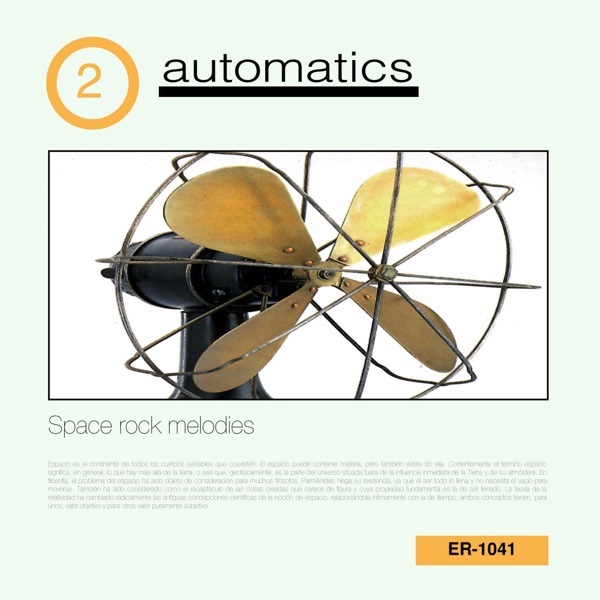 Click on the image to preview the tracks. on her GREAT NEWS ! 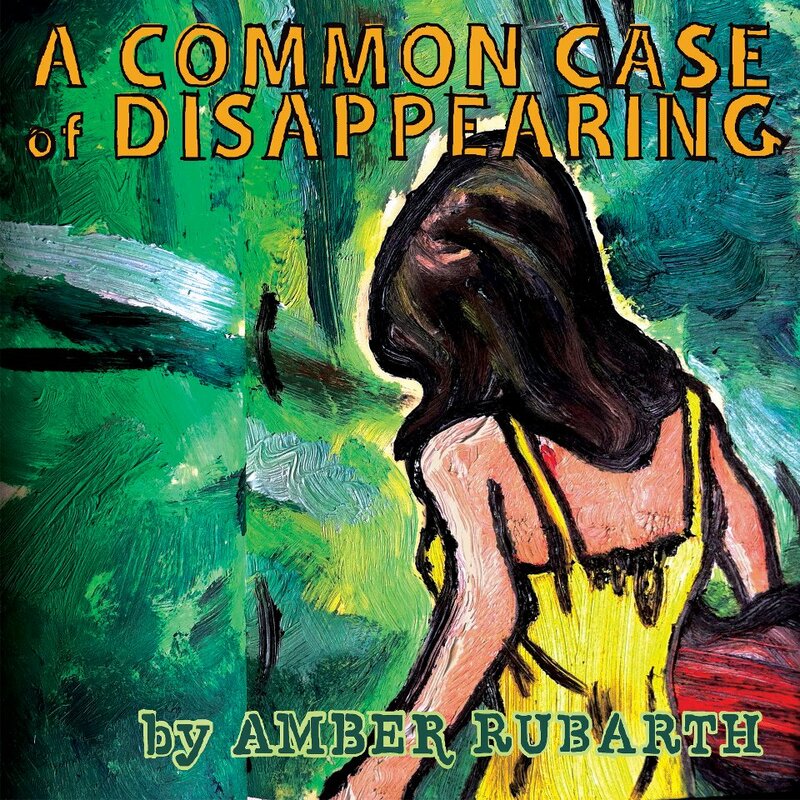 Amber Rubarth's NEW CD - "A Common Case of Disappearing"
CARNEGIE HALL with JASON MRAZ. November 23. Thanksgiving's Eve. 11-23-11. Forever engrained as one of the most magical days of my life. Jason Mraz invited me to be his special guest at Carnegie Hall. Sold out. Tiers and tiers of beautiful people, dressed to the nines. A beautiful reverence in the air. 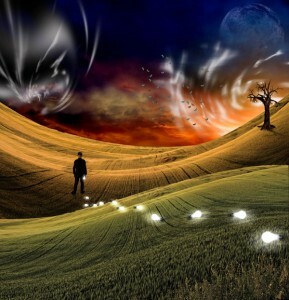 I have a lot of dreams in my life. This was a big one come true. Singing with Jason Mraz in a cardboard box would be spectacular, singing with him at Carnegie Hall was top of the tree. Or more like floating in outer space. Best Thanksgiving gift ever. I am soaked in gratitude. "A Common Case of Disappearing" this next week!!! With special guests! Come out and grab some albums for stocking stuffers! The We Five is best known for their song "You Were On My Mind" which exemplified "The San Francisco Sound." 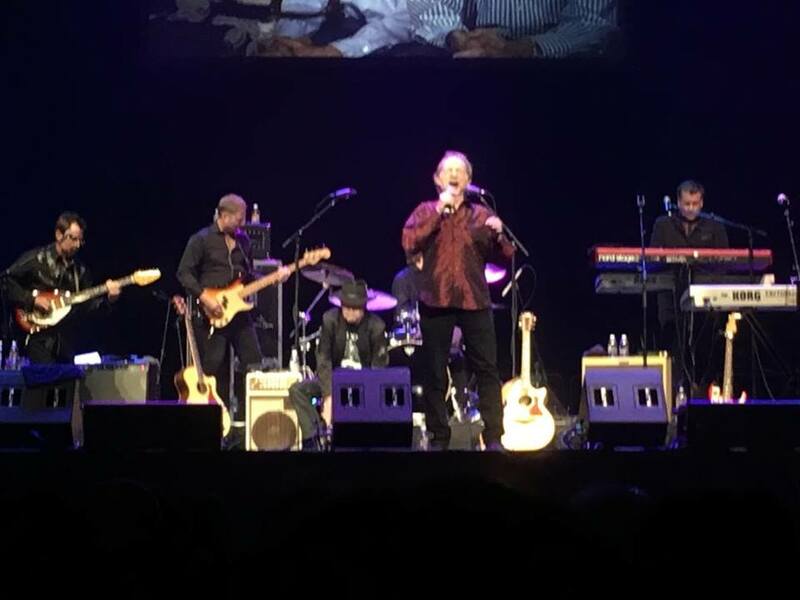 Over the past decade they have toured with a full multi-media presentation of songs and images from the 1960's, performing their songs, in addition to some of their contemporaries in a show titled "Folk Rock Revival" with a CD of the same title. It was a rainy, dismal day when We Five showed up to do their segment with us, but you would never know it by their professionalism. They began warming up A Cappella, and everyone in the studio stopped to listen because it didn't sound like they were warming up...more like they were already performing. 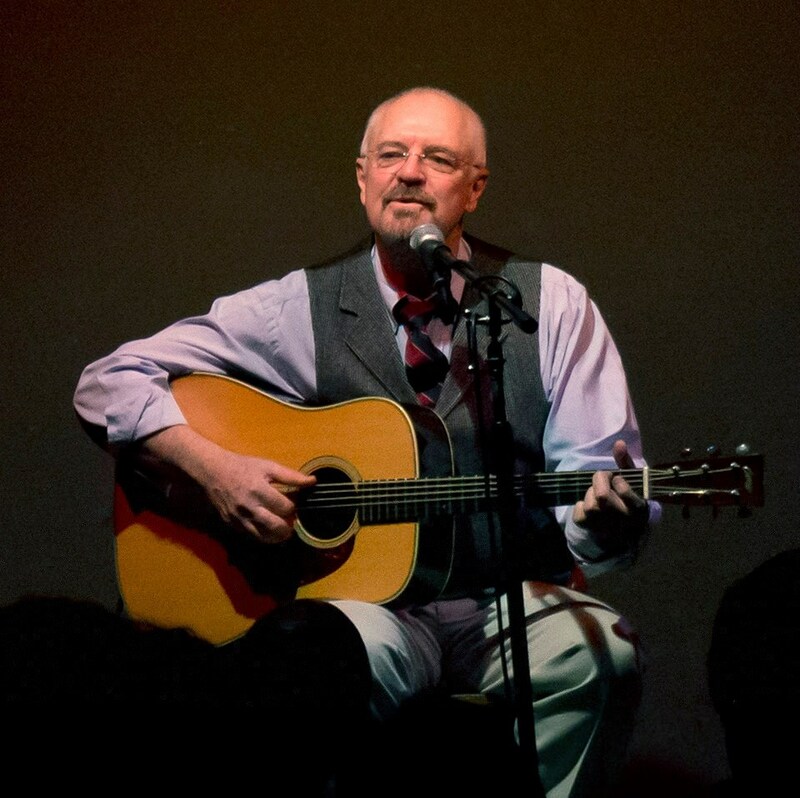 More recently, Jerry Burgan, one of the founding members of We Five has been touring a CD titled "Reflections, Songs and Stories" in addition to writing a book titled "Wounds to Bind" - a memoir of the folk-rock revolution. We Five recently performed at the opening of the new line for the Los Angeles Metrolink in Duarte. Like almost everyone who has ever appeared on our show, they have been supportive and given positive suggestions, for which we hold much gratitude. 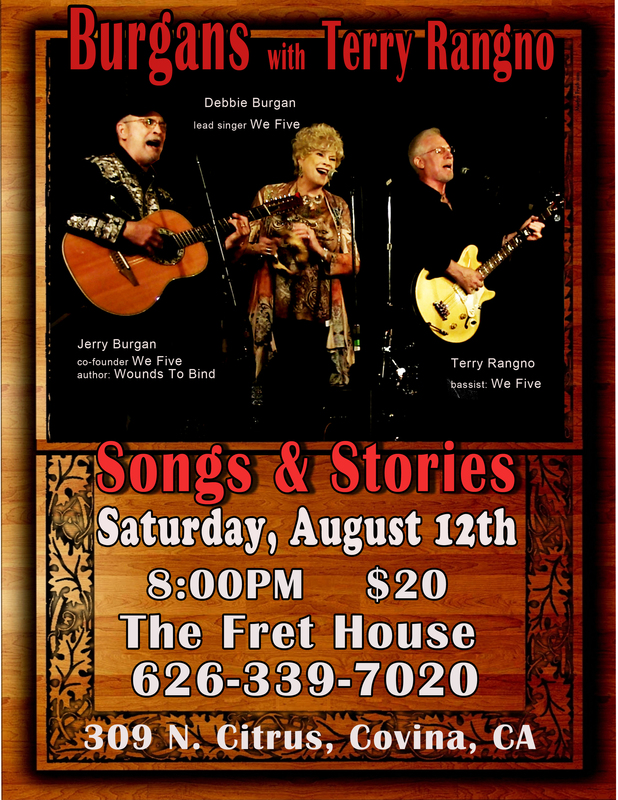 Jerry Burgan, Debbie Burgan, and Terry Rangno will present their latest exploration of Songs & Stories at The Fret House in Covina on Saturday, August 12. If you’ve never been there, the show room is a charming, brick-walled slice of Americana below the actual store. It’s right on Citrus in downtown Covina, so there are plenty of places nearby for a quick bite or a sit down dinner before the show. Doors open at 7:30 for an 8:00 pm showtime. Loaded with a song bag of our latest discoveries from classic folk, roots music, Americana and original tunes, we’ll be joined by our long time friend and bassist, Terry Rangno. 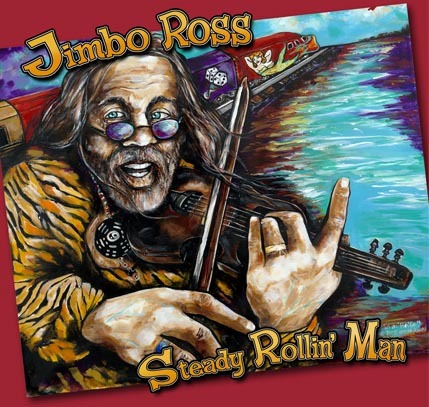 His precision skills have been honed over the years providing a solid musical foundation for singers, songwriters, and groups ranging from classic folk singer Hamilton Camp to blues and rock groups. Not just a player, Terry’s powerful voice has been completing the vocal arrangements for We Five since he joined the band in 1971. The phone number for information and reservations is 1-800-BET-FRET or 626-339-7020. As a heads up, it is downstairs and there's no elevator, but it's got great sound and up close viewing, so I hope you can come. They'd love to see you there. 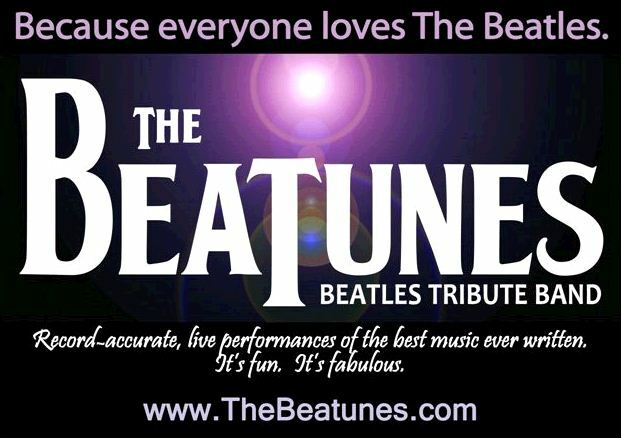 catch The Beatunes at either one of these venues! We've seen them live, and LOVE them! 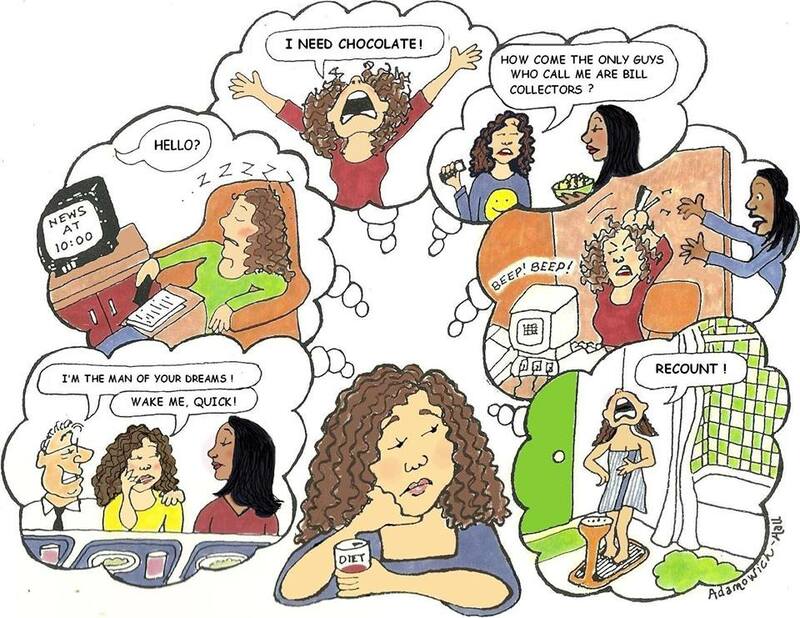 BETWEEN 10 A.M. AND 10 P.M. SO AS NOT TO DISTURB THE NEIGHBORS. LJ in the studio for BackStage:Los Angeles. LAURENCE JUBER…guitarist extra extraordinary…if you were blindfolded and a hundred guitarist would play for you one at a time you could pick out the “voice” of the guitar played by LJ if you had ever heard him, even once, before. Grammy Winner, lead guitars for Paul McCartney’s WINGS. Fingerstyle guitarist of the year. 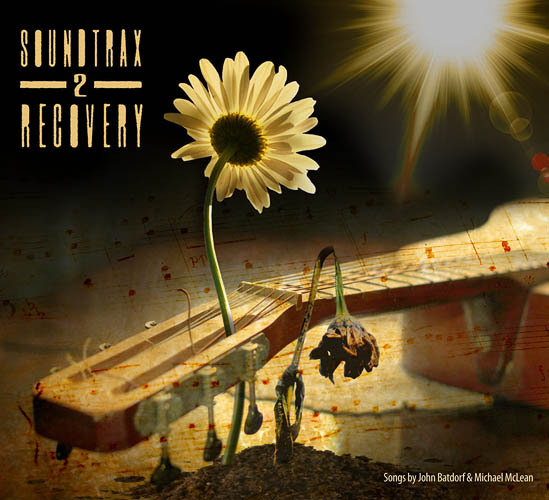 Studio musician on Award winning records, movies, TV shows and video games. World wide concert performer. 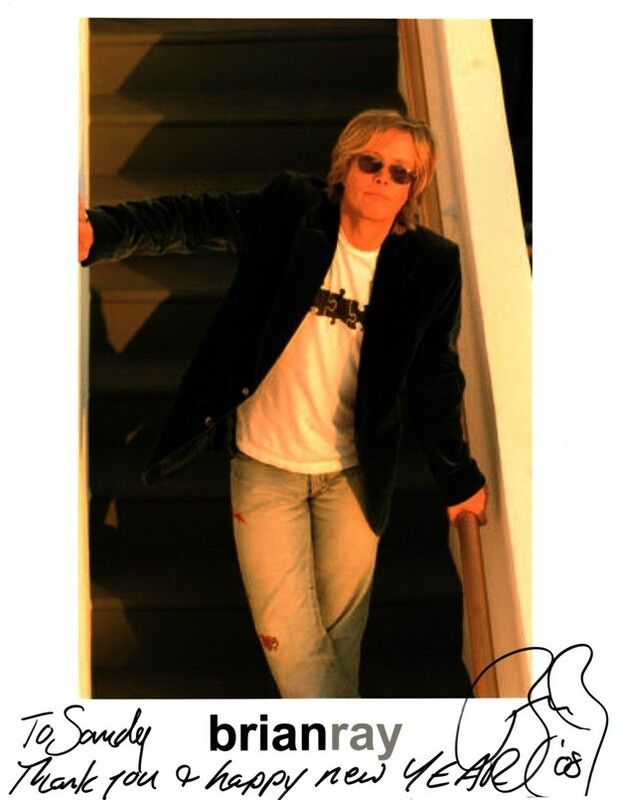 A music graduate of London’s Goldsmith’s College, he was first internationally recognized as lead guitarist in Beatle Paul McCartney's Wings, with whom he won a Grammy, Juber has since established himself as world-renowned guitar virtuoso and entertainer. Laurence Juber playing his most recent LJ Signature Martin Guitar at NAMM. Denny Tedesco is the producer of the documentary "The Wrecking Crew." 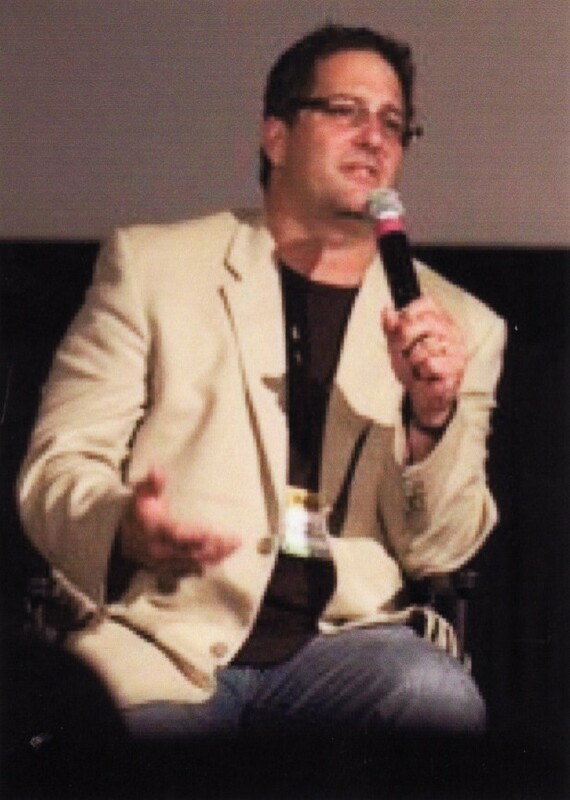 Denny Tedesco, producer of The Wrecking Crew, during a Q & A after one of the screenings. 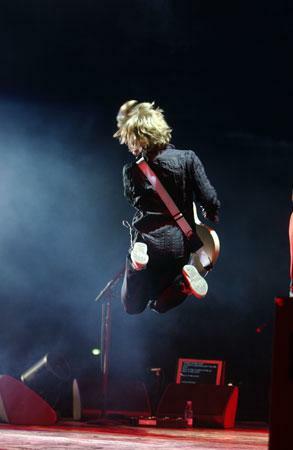 on September 30th, during their second U.S. tour! The Quarrymen are touring America this Fall to celebrate the 70th birthday of their old childhood friend and former band-mate, John Lennon. Their "Happy Birthday John!" Tour will see them perform 16 shows in just 17 days! Not even the Beatles in their touring heyday performed with such intensity! The first 15 of their shows will feature the band in a unique double-bill with special sneak previews of the new John Lennon biopic "Nowhere Boy". The final show of their tour will take place in New York City on Saturday October 9th - the exact 70th birthday of John Lennon. That will be a very special concert only (no film screening) with multiple guest stars to be announced soon. Check back regularly. Or send an email to be placed on the info list for this concert. The tour dates are listed below. Click on the venue name for further information and tickets. If there is no link yet - it will be added as soon as the venue posts the information. On location for our interview with The Quarrymen. Rod Davis, Len Garry, Sandy Jacobson, & Colin Hanton. This festival will be going on all day so check their website for acts and times. Lorie Doswell will appear with Tracy Newman and the Reinforcements for this gig. As soon as appearance times are announced, this evite will be updated. John Batdorf (Guest), Sandy Jacobson (Producer), & James Lee Stanley (Guest Host) in the studio. John Batdorf with James Lee Stanley in concert. This is open to the public, purchase tickets at the door. Cody Bryant & Riders of The Purple Sage. Evan Marshall, plays with Riders of The Purple Sage. VIP TICKET PRE-SALE ON NOW! VIP Tickets include Premium Seating, and Private Artists Reception with Arlo Guthrie. 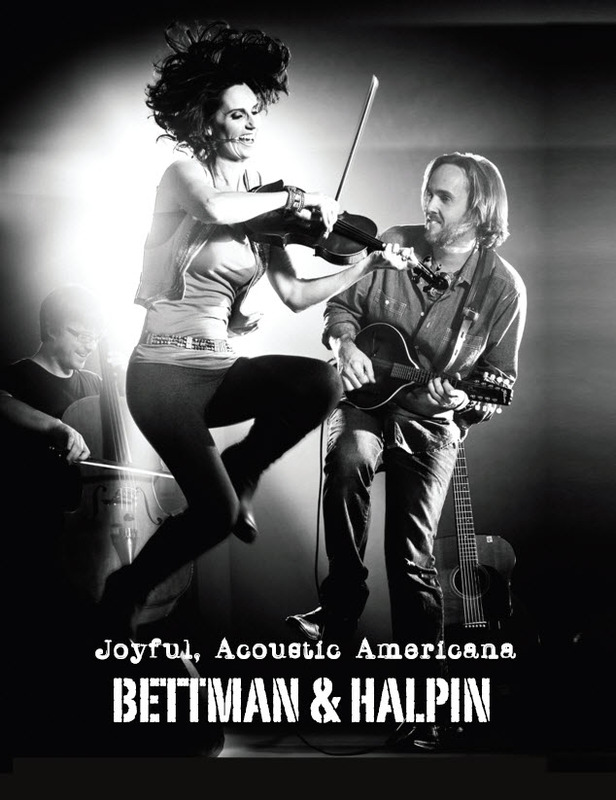 This concert is part of the "Weekend of Guthrie in Redlands" which takes place April 8 - 10, 2011. The University of Redlands in cooperation with The San Bernardino County Museum, Redlands Community Music Association, the A.K. Smiley Library, and Bodie House Music will play host to Arlo Guthriein the historic, 1300 seat Memorial Chapel on April, 10th, 2011. One of America’s musical treasures, Arlo Guthrie was born with a guitar in one hand and a harmonica in the other. He is the eldest son of America's beloved singer/writer/philosopher Woody Guthrie. Over the last four decades Arlo has toured throughout North America, Europe, Asia, Africa and Australia winning a wide, popular following. In addition to his accomplishments as a musician, playing the piano, six and twelve string guitar, harmonica and a dozen other instruments, Arlo is a natural-born storyteller, whose tales and anecdotes figure prominently in his performances. 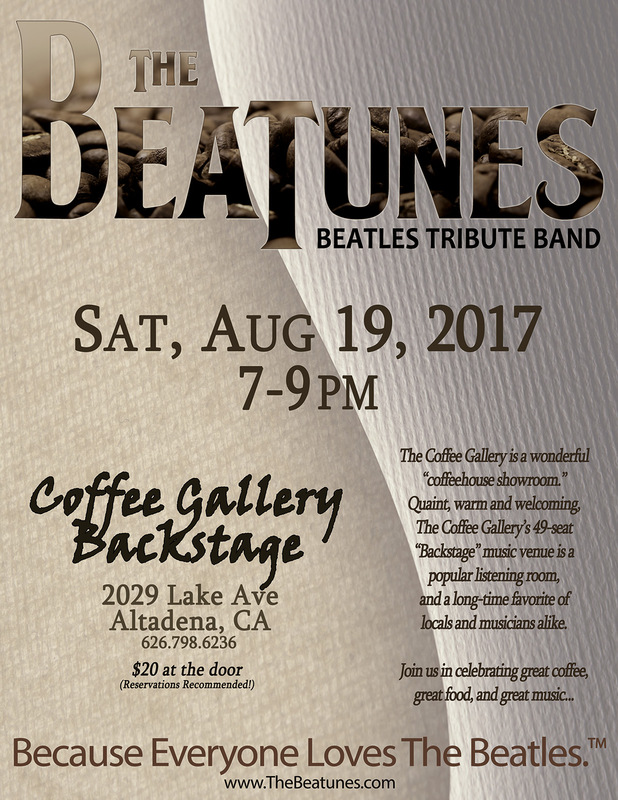 More details on a "WEEKEND OF GUTHRIE IN REDLANDS"
but in the meantime, PLEASE check out these wonderfully talented artists who gave their time for this amazing evening! On Saturday, August 14th, Russ & Julie's House Concerts presents an "ALL-STAR" Benefit Concert in support of The Wrecking Crew Film. The Wrecking Crew was a loose knit group of world-class studio musicians who played on some of the most popular music from the late 50s to the early 70s. 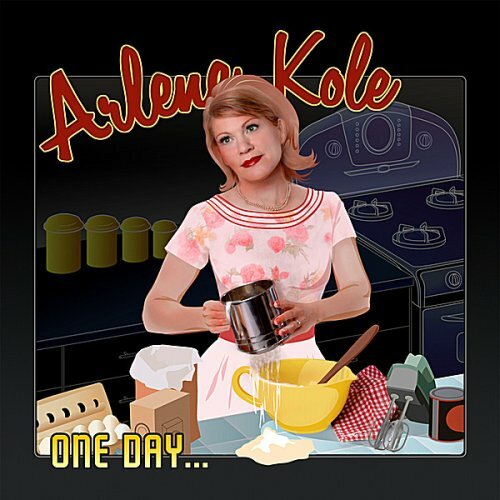 Songs by 5th Dimension, Herb Alpert & The Tijuana Brass, The Association, The Beach Boys, The Bryds, The Carpenters, Nat King Cole, Sam Cooke, Cher, Jan & Dean, Gary Lewis & The Playboys, The Mamas & The Papas, The Monkees, Ricky Nelson, The Righteous Brothers, Johnny Rivers, Frank & Nancy Sinatra, and many many others. The Wrecking Crew were Phil Spector's Wall of Sound. 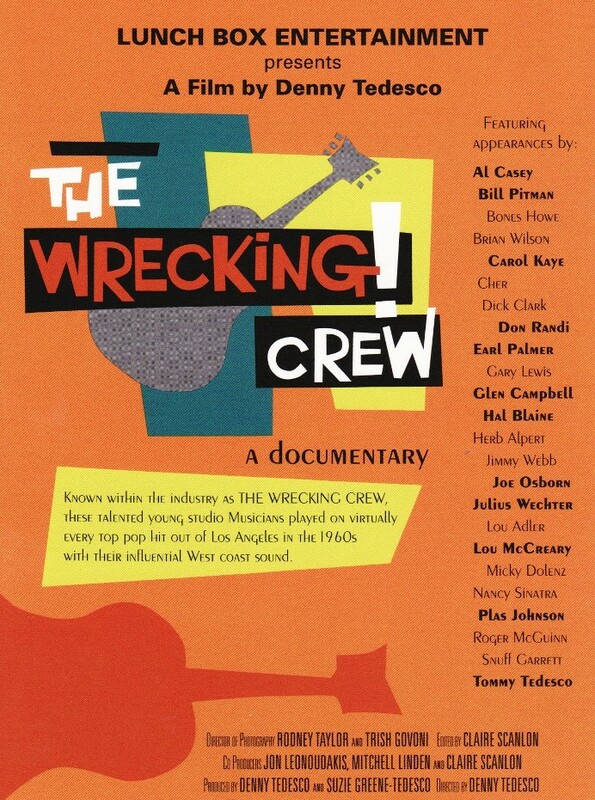 A documentary about The Wrecking Crew has been produced by Denny Tedesco (son of Tommy Tedesco of The Wrecking Crew). We believe this documentary is one of the best music related films we have seen. It documents this important and vital part of our musical history and should be seen by as many people as possible. We want to help see that it gets a DVD release. STEVE POSTELL (guitar) - Steve is one of the finest guitarists around. He's currently Jennifer Warnes' musical director. 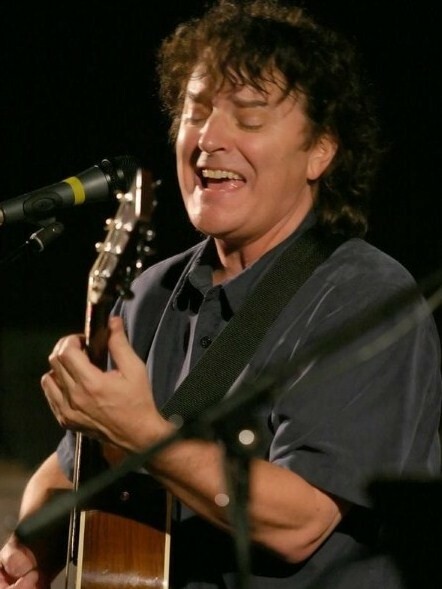 He's performed with Jackson Browne, David Crosby, Jennifer Warnes, John Oates, Robben Ford, Eric Johnson, Paul Barerre, Dave Koz, Pure Prairie League and many others. He has also performed live on the Tonight Show with Jay Leno, The Today Show with Katie Couric, The Regis and Kelly and The Regis and Kathie Lee shows. 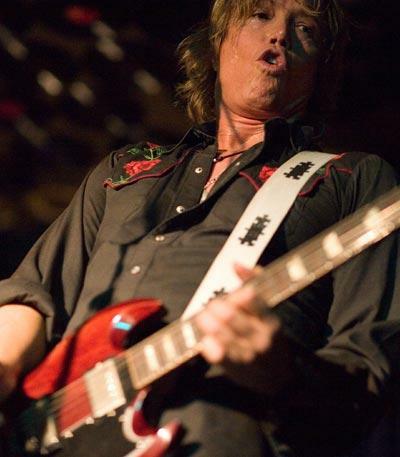 STEVIE GURR (guitar) - Another highly respected studio guitarist who has performed with Dr. John, Elvin Bishop, Otis Clay, and Don Henley among others. Stevie is currently part of the duo "emith". FREEB0 (bass) - FREEBO is an award-winning singer/songwriter (2008 Posi Award... "Best Song", '07 L.A. Music Awards "Best Folk Artist", Winner '07 South Florida Songwriting Contest, finalist '09 The Great American Songwriting Contest, Finalist in 5 different categories of JPF Awards), but he's best known as a Folk-Rock-Blues Icon. For 30 years, Freebo played bass & tuba on recordings and toured with some of the great artists of our time-- Bonnie Raitt (10 years), John Mayall & The Bluesbreakers, CSN, Maria Muldaur, Ringo Starr, Michelle Shocked, Neil Young, Loudon Wainwright III, Dr. John, and many others. He has also appeared on Saturday Night Live, Midnight Special, Muppets Tonight, and in concert with the legendary Spinal Tap. DALE LaDUKE (accordion/piano) - Award winning singer/songwriter and former member of Five Wheel Drive. 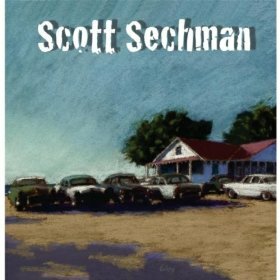 Originally from the Detroit area, he has for many years made his living writing, teaching and playing music in Los Angeles. 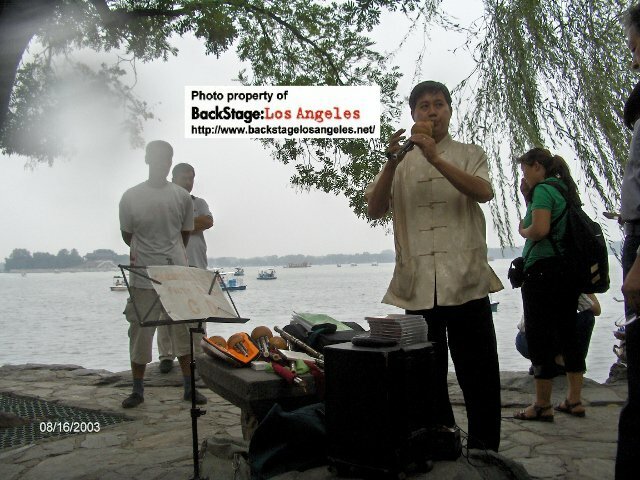 Dale regularly adds his accordion parts to many local artists here in the L.A. area. RICHARD MARTINEZ (percussion) - Richard is a local musician whose stage credits include The All Night Strut, Cabaret Verboten, Five Guys Named Mo and Ain't Misbehavin'. His television credits include The Dolly Parton Show, Baywatch Nights and Sienfield. 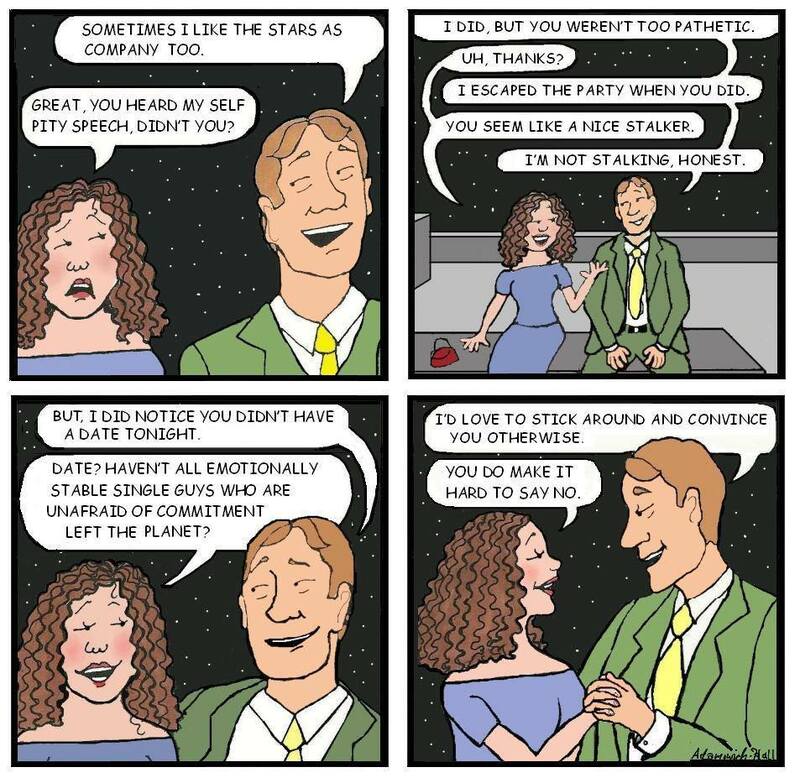 He has performed with Sam Harris, Jason Alexander, Bebe Neuwirth and many others. 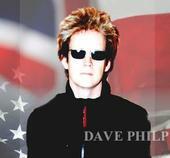 He has also recorded with Julian Lennon, Dan Hill, John Jones, Rick Nowels and others. MARI WILSON: Mari is an British singer based in London. She is best known for her sometimes quirky, early 1960s-influenced pop music songs and her (former) trademark beehive hairdo. Recording on the Compact label she scored six UK hit singles in the early 1980s, including her biggest hit, "Just What I Always Wanted" (UK #8) in 1982. The following year she scored a top 30 hit with a cover of "Cry Me a River" and released her debut album Showpeople, also a top 30 hit. Wilson's fourth studio album Emotional Glamour was released on her Beehive label in October 2008. She has also performed in musicals, and has been a feature on a BBC TV series about celebrities and their health. The minimum suggested donation for the evening is a $20 per person, payable in cash at the door -- OR with a tax deductible check payable to "International Documentary Association" (write "Wrecking Crew Documentary" in the memo line). All of the money raised this night will go towards expenses (such as licensing fees) to get The Wrecking Crew film released on DVD. All of the evening's artists are donating their time. We will also have our usual "potluck" style coffee and dessert buffet. The show is called for 8:00 P.M. Doors open at 7:30 P.M.
RSVP today to Russ & Julie at houseconcerts@jrp-graphics.com -- We look forward to seeing you then! will be making a return visit to Southrn California, and on our show, Labor Day Weekend. Details to follow! On Friday night, June 18th, 2010 I attended the CD-Release Party for Nathan McEuen’s new (and third) CD “Scrapbook Sessions.” Technically and artistically, Nathan maintains his consistent level of quality in his new recordings and in his live performances, and kicks it up a notch with each new release. Nathan’s earlier CD’s “Grand Design” and “Festival” are both “quintessential Nathan McEuen”…yet provide the listener with different experiences. Nathan’s new CD is yet another new sensory delight. The audience loved the new songs, and responded enthusiastically! In addition to the premiere and workshop, there will be a cruise August 21-28, 2010 with workshops on-board to teach YOU how to become a DREAMCATCHER ! Los Angeles Premiere is Sunday, April 11, 2010. Exact address TBA with registration. Mike Handcock, and Dave Rogers. Mike Handcock will be available 1-2 days prior for interviews. Click here to register for the Los Angeles premiere of DREAMCATCHERS and to attend YOUR PERSONAL BRAND Workshop on April 11, 2010 ! In the BackStage:Los Angeles Studios Green Room. Ngahihi Bidois (Guest), Sandy Jacobson (Producer), Mike Handcock (Guest), and Michael Sunday (Host). Ngahihi Bidois (Guest) sharing some DREAMCATCHER Philosophy with Michael Sunday (Host). 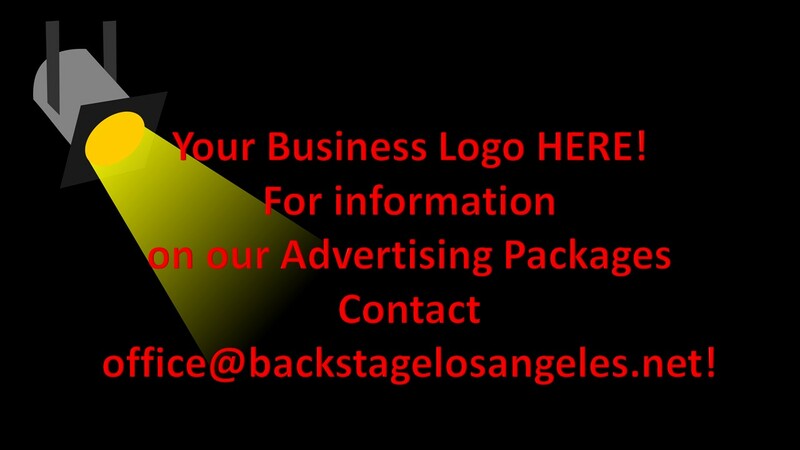 Xango is the Official Beverage Supplement of BackStage:Los Angeles ! Click here to request more information on a free quote on additional packages and other promotional merchandise! 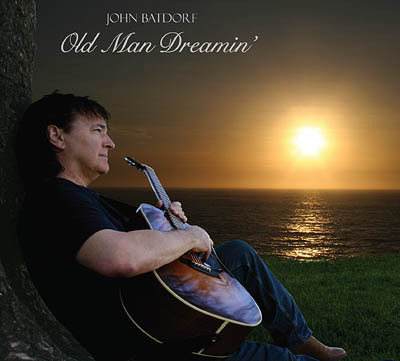 JOHN BATDORF - "Old Man Dreamin' "
Best known for their million selling hit "YOU WERE ON MY MIND," WE FIVE brings their special mix of powerful, folk-flavored vocals, and an array of 6 and 12-string guitars, banjo, mandolin and other surprises to the Fret House on Saturday, May 15th. WE FIVE, first of the seminal 60’s bands to record hits in San Francisco, was Grammy-nominated for Best Performance By A Vocal Group in 1965. The group has appeared on top TV shows like Shindig, Hullabaloo and the PBS My Music Series, and played in classic concert venues like the Greek Theater and the Hollywood Bowl. 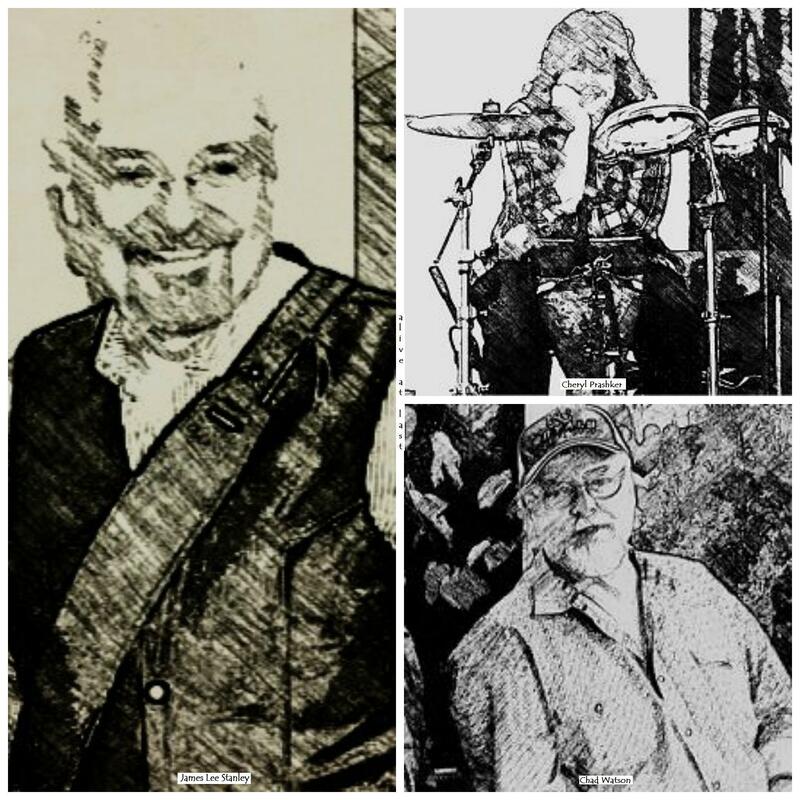 Led by founding member, Jerry Burgan, and lead singer, Debbie Burgan, We Five’s excellent musicianship has been amazing audiences for over 4 decades. The show features material from their 6 albums and includes all of their best known songs like You Were On My Mind, Cast Your Fate To The Wind, and the original hit recording of (Let’s) Get Together. We Five’s performance covers a full spectrum of sounds from whisper quiet folk songs, to power ballads and folk rock standards. Laced with tales of the road and a tip of the hat to some of their contemporaries, it is always a fresh and totally entertaining experience—and the Fret House is a perfect place to see and hear them up close and personal in an intimate environment. The Covina showroom will be full, so get your tickets early. Visit the Official WE FIVE Website ! Visit the WE FIVE page of this website. Click here to book We Five ! We Five performing their hit "You Were On My Mind" at their January 23, 2010 concert. We Five performing their hit "You Were On My Mind" at the Jan. 23rd concert. We Five with Michael Sunday (Host) & Sandy Jacobson (Producer) when they were our in-studio guests ! We Five on the set of BackStage:Los Angeles ! and Sandy Jacobson (Producer of BackStage:Los Angeles). an interview with Peter Rechter by Michael McDowell of Blitz Magazine appears with permission on the "Guest Artist New Releases" page of our site. Read the reprint on our site ! Visit The Tol-Puddle Martyrs Site ! "Who's That Knockin'?" 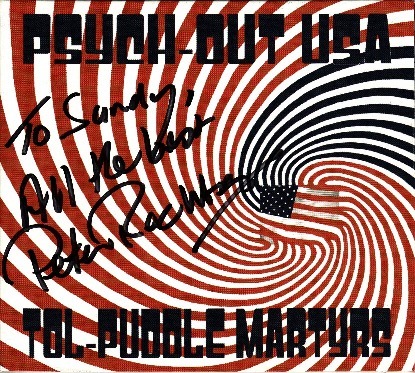 from the Tol-Puddle Martyr's last CD, "Psych-out U.S.A."
Michael Sunday, Sandy Jacobson, Laurence Juber, and Javier, on the set of BackStage:Los Angeles. for a beautiful Holiday story and music from Laurence Juber, and his wife Hope. You will be glad you took the time to do so! The Ornament - A beautiful Holiday story with music! Sandy Jacobson also spoke on a panel for the Television/Film Department at Loyola Marymount University on November 19th. Other panelists included representatives from Dreamworks, Warner Brothers, and other entertainment companies. More information on Loyola Marymount University! Click here to preview their new song & video ! 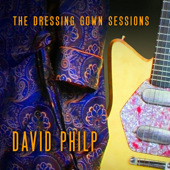 David Philp & The Automatics. 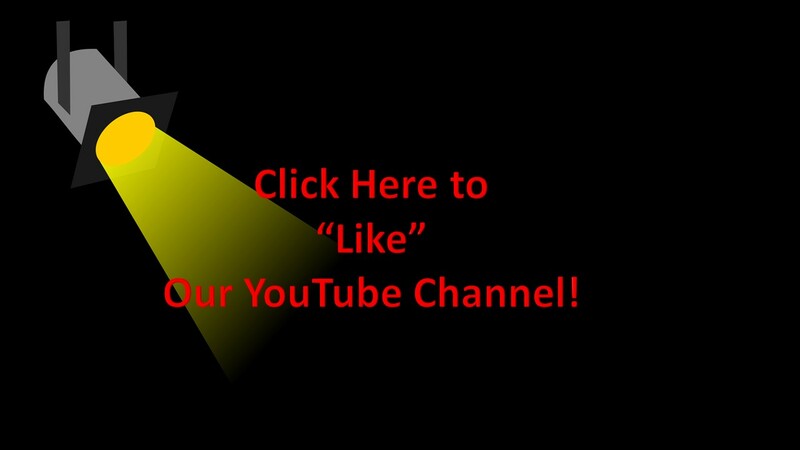 Click image to see new video. 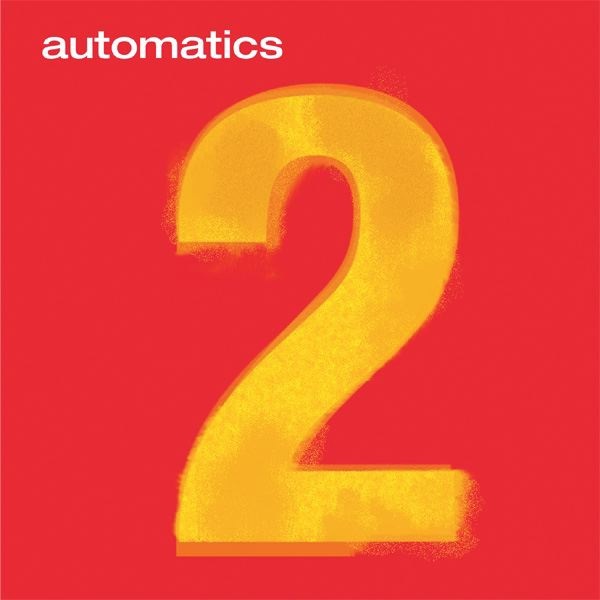 David Philp & The Automatics. Click image to see new video clip. 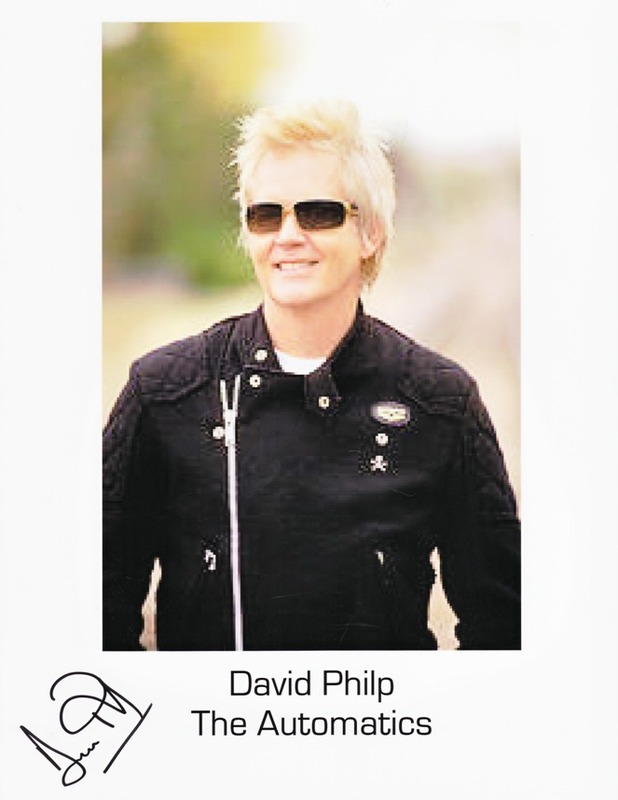 Click image to visit David Philp & The Automatics' Home Page ! Tim (our sound-man) with David Philp during soundcheck. David Philp (Guest) with Michael Sunday (Host) during interview in our studio. David Philp (Guest), Sandy Jacobson (Creator/Producer), Michael Sunday (Host) in our studio. Click Here to View the Promo shot on location at The Egyptian Theatre, for The 40th Anniversary Screening of The Monkees' Pop-Cult Classic film "Head." NOVEMBER 12, 2008 @ 7:30 PM! Peter Tork, Davy Jones, Bob Rafelson, Bobby Hart, and Chip Douglas!!! Peter Tork & Davy Jones at The 40th Anniversary Screening of The Monkees' film "Head." Chip Douglas ("Headquarters"-Producer), Bobby Hart (Boyce & Hart), Peter Tork, & Davy Jones. The Egyptian Theatre Ad for The 40th Anniversary Screening of "Head." Chip Douglas ("Headquarters"-Producer), Bobby Hart (Boyce & Hart), & Peter Tork. SEE PREVIEW OF OUR SHOW! producers of Russ & Julie's House Concerts! 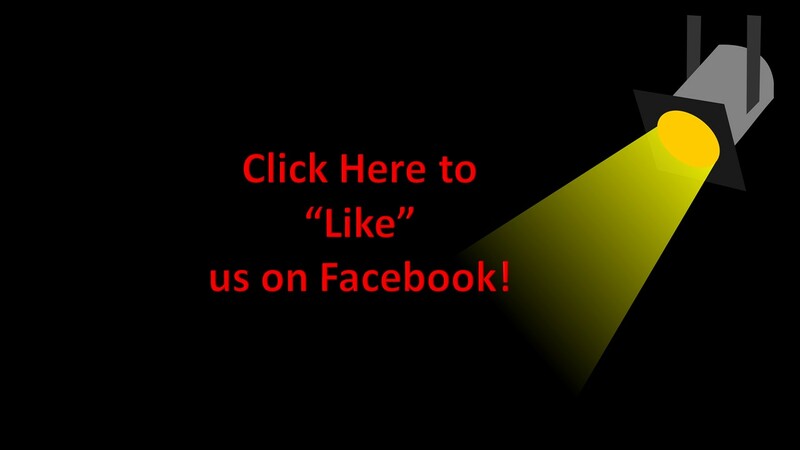 Click here to go to the "About The Television Show" page! during their first U.S. appearance! Laurence Juber was also on the line-up! 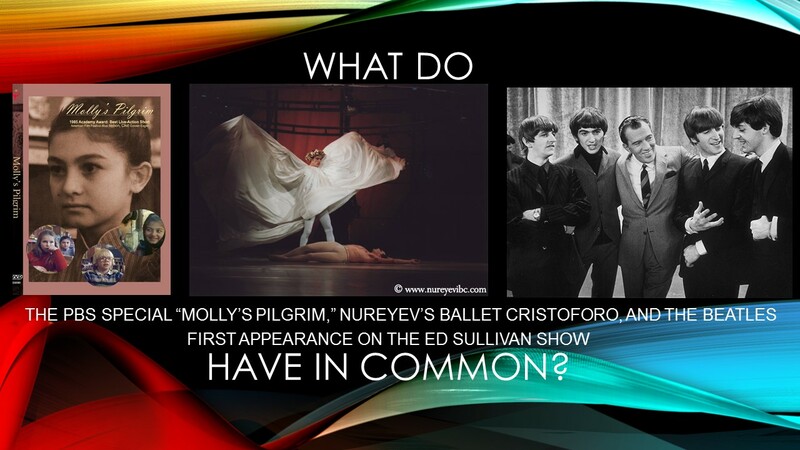 (2x Grammy Winner, previously with "Paul McCartney & Wings") and a recent guest on our show! It was an evening of great music, AND a historical event! For more information on Guitars in The Classrom, click on the link below. Click Here to learn more about "Guitars in The Classroom." Click here for more information on The Quarrymen. Thanks to Jessica Baron of "Guitars in The Classroom"
for setting up our historical interview with The Quarrymen during their first visit to the U.S.! We shot the interview on-locatioon October 20, 2008! A VERY gracious and witty group! BackStage:Los Angeles on location in the Hollywood Hills. Colin Hanton, Sandy Jacobson, Rod Davis, and Len Garry. Rod Davis, Len Garry, and Colin Hanton. Premiere Screening/Concert Series Launch Event! and was one of the artist's featured in the screenings! We were happy to know that Peter Tork was opening for a screening of "The Wrecking Crew" that night - a film we've been promoting since early summer! Caroline Boyce (Tommy Boyce's widow, "Boyce & Hart") met with Sandy Jacobson (Producer & Co-Author of The Rock & Roll Hall of Fame Petition) and Michael Sunday (Host) during a recent visit to Los Angeles! Caroline has lent her support to The Monkees Rock & Roll Hall of Fame Petition in many ways, including being one of the first people to sign our petition. A few of the other "notables" who have signed, are Amy Linker ("Square Pegs"), and Bob Hegyes ("Welcome Back, Kotter"). Thank You to EVERYONE who has supported this effort! Sandy Jacobson, with Caroline Boyce, autographing the resource book for the petition. Sandy Jacobson reading Caroline's autograph. Sandy Jacobson and Caroline Boyce on Sunset Boulevard. Michael Sunday, Host of BackStage:Los Angeles, with Sandy Jacobson, Creator & Producer. The Monkees Rock & Roll Hall of Fame Petition, Sandy Jacobson (Creator & Producer of BackStage:Los Angeles & Co-Author of The Petition), and Michael Sunday (Host) had a meeting with Caroline Boyce, widow of Tommy Boyce (Boyce & Hart) during her brief visit to Los Angeles. The full story of this historic meeting on Sunset Boulevard appeared in the July issue of the BackStage:Los Angeles Newsletter! Scroll to the bottom of the page to sign up to receive it. Sandy Jacobson, Michael Sunday, & Caroline Boyce. We were thrilled that Peter Tork and Al Jardine performed Monday night at a screening in Mill Valley! 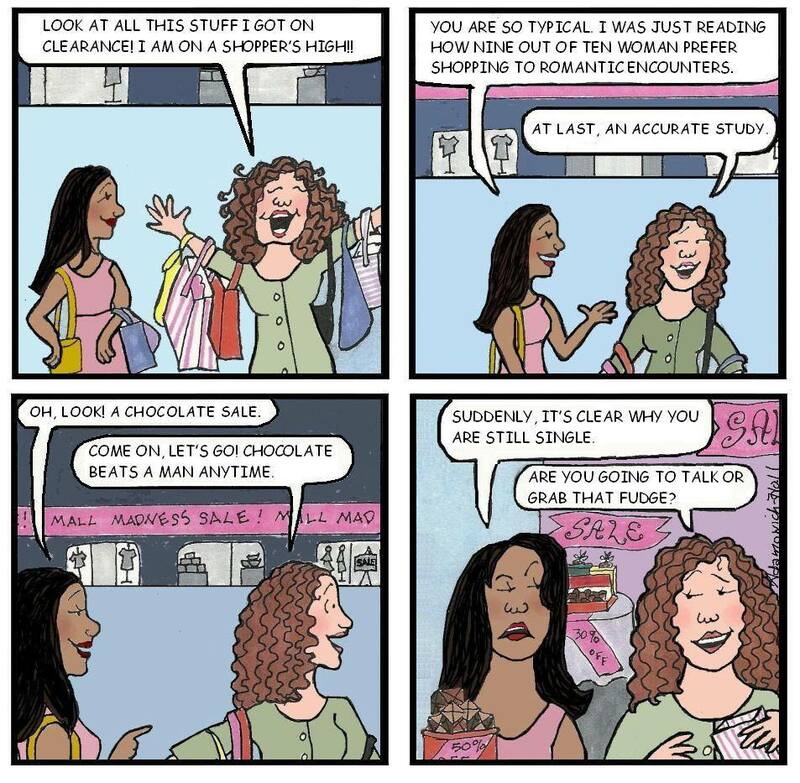 can be found by clicking either of the two images! YOU OWE IT TO YOURSELF TO SEE THIS FILM !!! 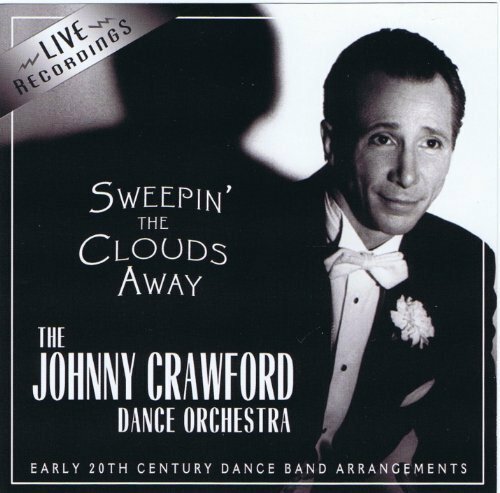 It's an incredibly well-produced documentary on the studio musicians who played on most albums from the 1950's through the mid 1970's. They were Phil Spector's "Wall of Sound." 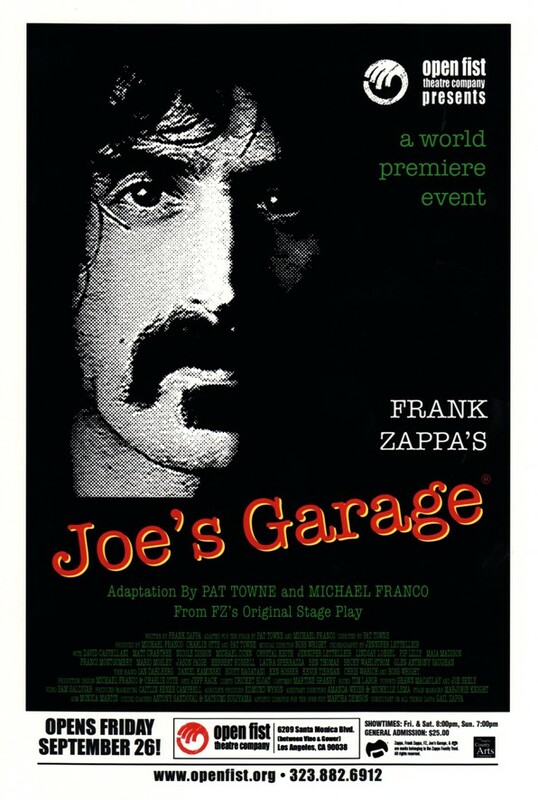 Denny Tedesco - Director/Producer of "The Wrecking Crew"
Pat Towne & Michael Franco - Co-Adpaters of the World Premiere of Frank Zappa's 1979 Rock Opera "Joe's Garage" at The Open Fist Theatre, Hollywood. Clay Eals - Author of "Steve Goodman: Facing The Music"
Clay Eals' book "Steve Goodman: Facing The Music"
left to right, Robert Morgan Fisher, Jessica Baron, Tom Bocci, Paul Zollo, and John O'Kennedy. Arlo Guthrie, Johnny Cash, and John Denver. Clay Eals (Guest/Author), Sandy Jacobson (Guest-Host), Alyssa Archambault (Concert Production). Westwood Music hosted one of Clay Eals's So-Cal Book-Signing / Concerts. Clay Eals, sharing a quote by Emmylou Harris, from his book "Steve Goodman:Facing The Music." James Lee Stanley paying tribute to Steve Goodman, on what would have been Steve's 60th Birthday. Robert Morgan Fisher, lead all the artists and the audience, in Steve's song "City of New Orleans." 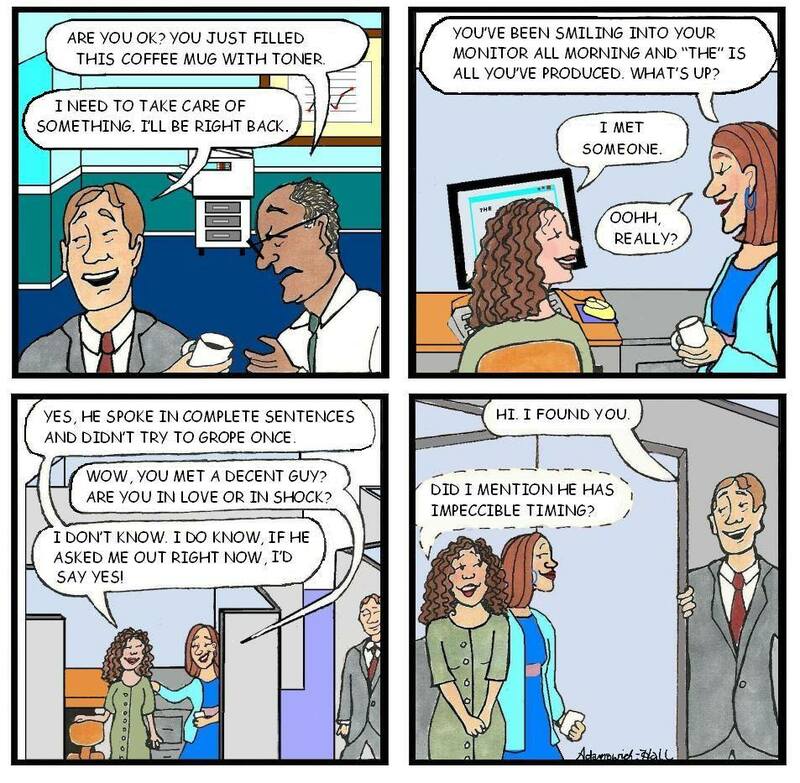 The ones who say "Steve Who?" and the ones that say "STEVE GOODMAN !!!" 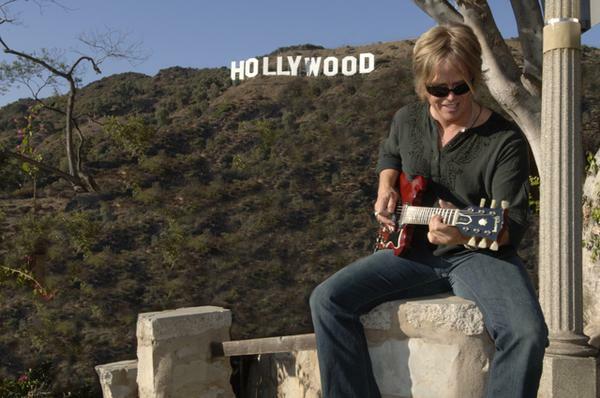 CLICK HERE FOR THIS WEEK'S SOUTHERN CALIFORNIA CONCERTS - JAZZ, ACOUSTIC, HARD ROCK, AND MORE! To remind the public, members of the music indsutry, and U.S. Legislators of the central role and rights of those who conceive and create music, ASCAP (The American Society of Composers, Authors, Publishers) officially launched a "Bill of Rights for Songwriters and Composers" on April 17, 2008. Click here to read and/or sign The Music Bill of Rights. 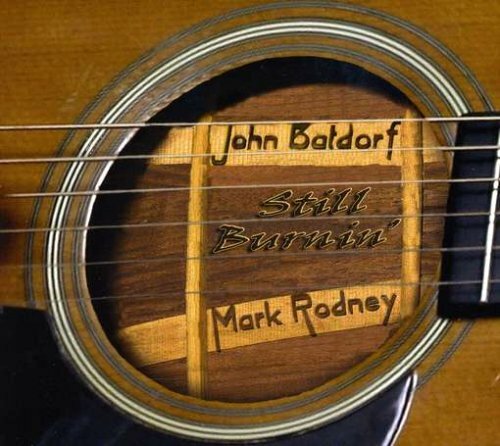 "Still Burnin" - by Batdorf & Rodndy, created out of last summer's Batdorf & Rodney Tour. for more information, click on the images! As we catch our crew of interns, we'll add them ! David Tellez, in the studio. David, our intern, designed the posters for the Oct. 6th Screenings ! Monkees Petition supporters, Anne Wildman & Jeff Moats from Colorado, visiting with Sandy Jacobson. Recent studio guests, Matt Pless (guitar) and Zac Pless (percussion). Click on image to hear music ! Click on image to learn more about recent guest, Matt Pless ! Michael Sunday, Sandy Jacobson, and Matt Cartsonis (Guest), outside the studio. Matt Cartsonis was our most recent guest. For more about Matt, visit our "Recent Guests" page! For more information on Evan, or any of the other artists, click on the photos! Evan Marshall with Cody Bryant & Riders of The Purple Sage. Evan Marshall, described by the late Chet Atkins as "one of the few great musicians of our time." Evan Marshall and Sandy Jacobson in the studio. Evan Marshall's "signature" piece is the "Finale from The William Tell Overture." 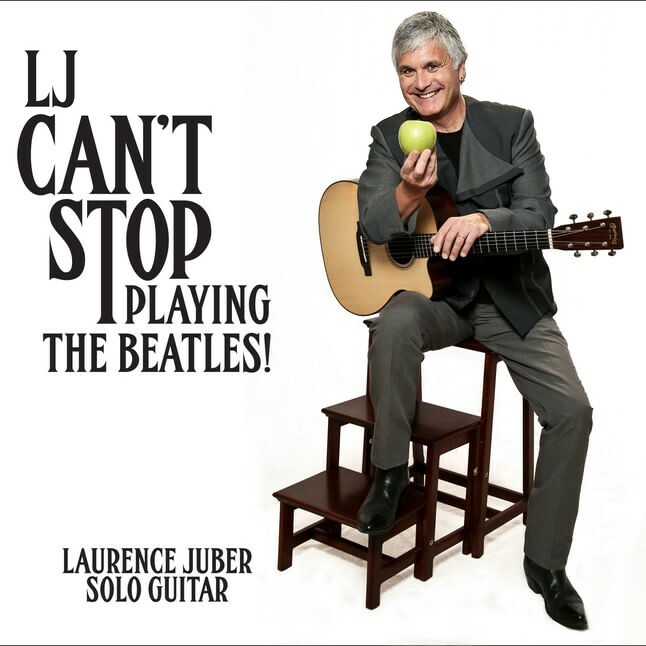 Recent guest, Laurence Juber...who's Grammy-winning solo career began with Paul McCartney & Wings. Nathan McEuen (Guest), Sandy Jacobson (Guest-Host), Elaine Gregston (Guest), & Chuck Hailes (Guest). Michael Sunday (Host), Laurence Juber (Guest), Sandy Jacobson (Producer), Javier Otero (audience). Ted & Pablo will be at Skirball Center on July 12. Ted & Pablo braved our recent heatwave to do a great concert at the LACMA Summer Latin Jazz Series. Michael Sunday (Host), with recent guest Joel Rafael, and Sandy Jacobson (Producer). A visit from recent guest Ngahihi Bidois & Family! Michael Sunday (Host) with vacationing Ngahihi Bidois & his family, and Sandy Jacobson (Producer). valuable contacts at the same time. If everyone looks exhausted in the photos below, WE ARE. The photos were taken on the last day of the conference! Just some of the people who helped make the 2008 FAR-West Conference a success! Site of the 2008 FAR-West Conference in Mesa, AZ. The 2009 Conference will be in Irvine, CA. Jeanette Lundgren, Sandy Jacobson, & Julie Paris at the 2008 FAR-West Conference. This "could" be Sandy Jacobson's "Dream House" or a reasonable facsimile of it. The Original owners of the house. home in the trunk of her car for the trip back to California. Sandy Jacobson, speaking on alternative ways for musicians to get their music heard. For more information, please go to this website's page dedicated to the petition and/or read all the stats on the petition link. THE STATS, AS OF AUGUST 24TH, 2009 HAVE BEEN SUBMITTED TO THE ROCK & ROLL HALL OF FAME, WHILE WE CONTINUE TO COLLECT SIGNATURES TOWARD OUR GOAL OF 100,000 SIGNATURES ! an international publication for inspiring entrepreneurs, which is read by some of the most influential people in the world. on,Tuesday, December 11th, 2007 at 4:00 P.M. P.S.T. "Women In Business" reaches 1.5 million listeners! Click here to tune in to "Women In Business." Sandy recently was a Speaker/Moderator on a Panel at the October FAR-West (Folk Alliance Region-West) Music Conference, that addressed musicians on alternative and creative ways to get their music heard. She has also been asked to present to local Los Angeles college students on "Preparing Yourself to Become a Successful Musician" early next year. Sandy Jacobson was asked to speak on a panel for the Television/Film Department at Loyola Marymount University on November 19th, 2010. Other panelists included representatives from Warner Brothers, and Dreamworks. More information about Loyola Marymount University. Sandy Jacobson, speaking at the FAR-West Conference in Phoenix, AZ. HAPPY 3-YEAR ANNIVERSARY BACKSTAGE:LOSANGELES ! Visit our online store for show merchandise! The story of nine ordinary people living extraordinary lives ! A Rock Your Life film by Mike Handcock. leaving Beijing on August 21st, 2010 ! 8 Luxurious days with the cast and crew of DREAMCATCHERS on a Royal Caribbean Cruise ship that includes 2 full days of workshops, networking with the cast and crew, meeting new friends, and learning how you, too, can become a DREAMCATCHER. We will be visiting The Great Wall, the city of Nagasaki, Japan, and Buson, Korea. When Mike Handcock was shooting this film, he asked permission to shoot some footage with our producer, Sandy Jacobson, and she agreed. Being a film veteran, Sandy knew that a lot of what gets shot for a film, ends up on the editing room floor...and didn't give it another thought. Over lunch, the day of the Los Angeles Premier, Mike Handcock surprised her with the news that she has a cameo in the film ! Thank You, Mike ! Our Producer, Sandy Jacobson (who has a cameo in the film) will be participating in this once in a lifetime experience ! 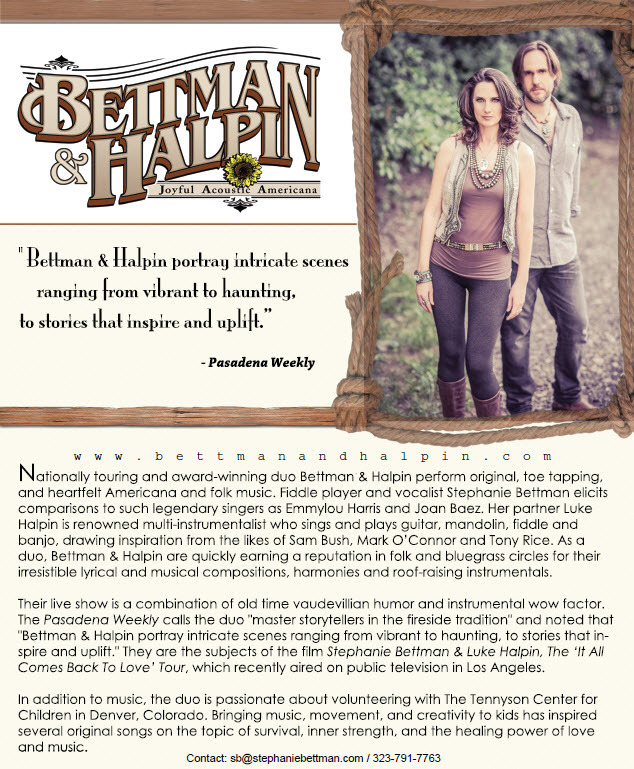 For booking information, click here ! DREAMCATCHERS - the story of nine ordinary people living extraordinary lives ! THIS PHOTO WAS TAKEN BY MIKE HANDCOCK ! Sandy Jacobson (in black) at the Los Angeles Screening of the Int'l Premier of "DREAMCATCHERS"
Click here to view the Official Trailer for DREAMCATCHERS - the film about nine ordinary people living extraordinary lives ! Keyboard player and singer in Australian 60s band Tol-Puddle Martyrs, and an earlier band Peter & The Silhouettes, which came from the Bendigo Region of Victoria. His more recent band in The Secrets. 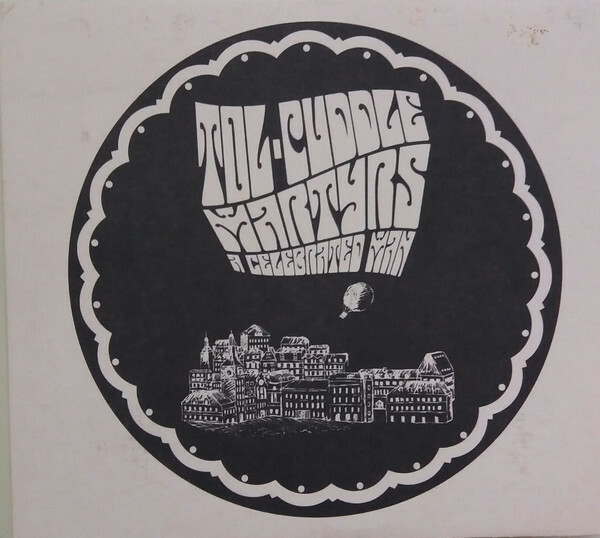 The oddly named Australian group the Tol-Puddle Martyrs (evolving out of the mid-'60s band Peter & the Silhouettes, who had a track on a 1966 compilation LP) put out a couple of singles in 1967-1968 that are highly regarded by garage rock collectors, though not many people heard them outside of Australia at the time of their release. (Actually, not a whole lot of people heard them inside Australia either.) The 1967 single "Time Will Come"/"Social Cell" is taut, distressed garage rock on the verge of getting slightly psychedelicized, with cutting minor-keyed distorted guitar/organ riffs and ominous, distrustful lyrics. By contrast, their 1968 single, "Love Your Life"/"Nellie Bligh," is rather fey, extremely late-'60s Kinks-influenced perkiness. All four tracks were reissued on a 2003 EP in Italy by Misty Lane, with some historical liner notes. Their name, incidentally, wasn't as contrived a bit of '60s weirdness as might be assumed, inspired by an 1834 incident in which six farm workers in Tolpuddle, England, were banished to Australia for unionizing, subsequently becoming known as the Tolpuddle Martyrs. 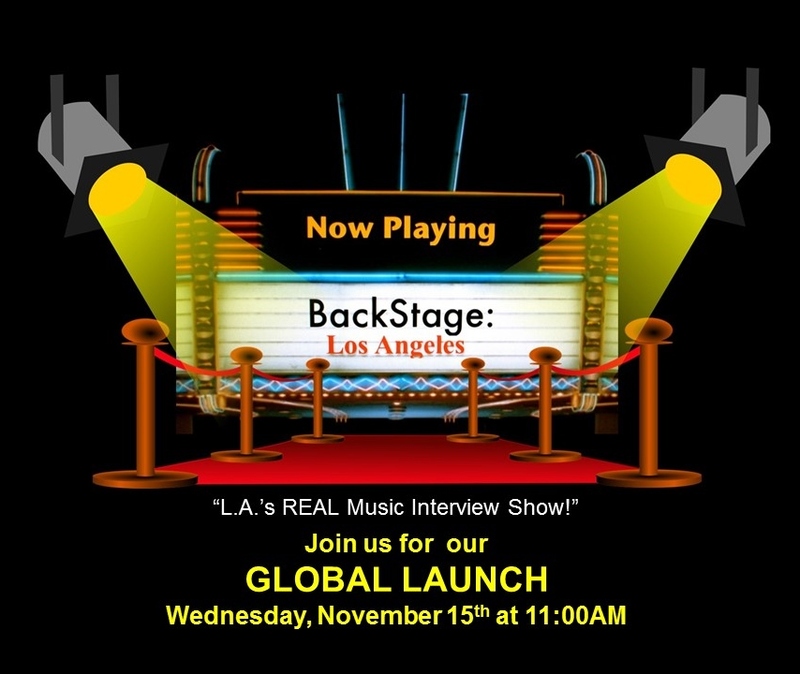 "L.A.'s REAL Music Interview Show!"